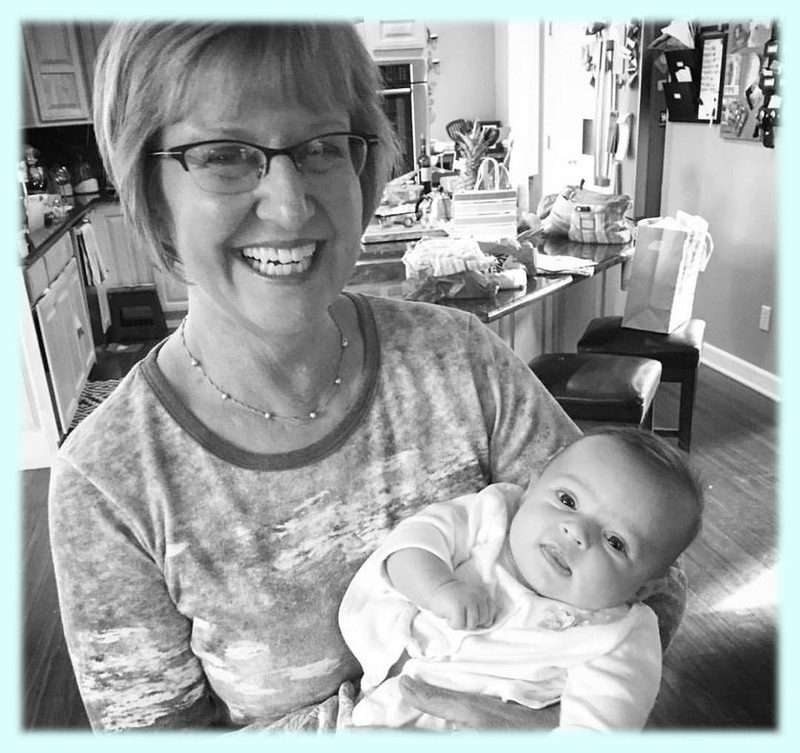 Testimonials about Connie Machan, the Doula Nana! The breath is the foundation of life. 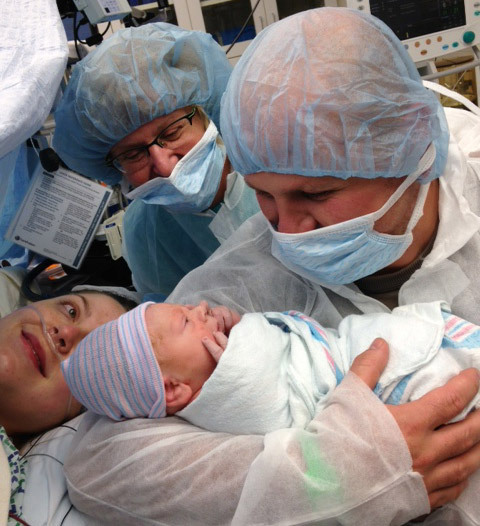 It will calm you, center you, and lead you to your baby's first breath. We couldn't have made it through those 36 long hours without you, Connie! Thank you for your patience, openness, and support! I still can't believe you didn't go home for a break. We are in awe of and grateful for your committment to a safe birth for us! Our experience with Connie is one we will never forget! We met with Connie and instantly liked her. She was professional but personable; gentle but fierce. Near the end of my pregnancy, I was thrown a major curve ball: blood clots were discovered in my leg that deemed me a "high risk" patient. 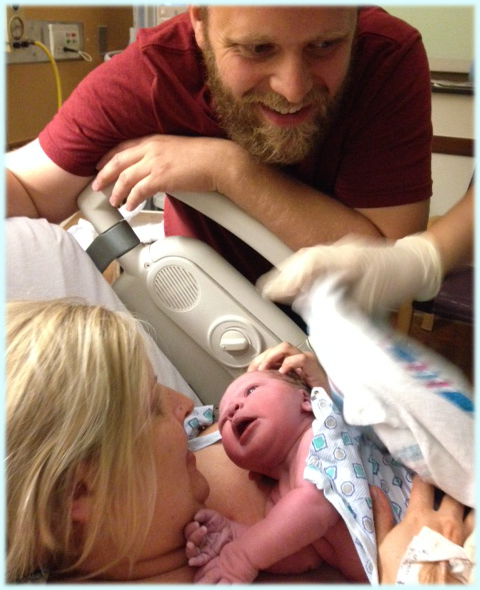 My original plans for a natural birth with a Midwife at a local birthing center were out the window. My heart was crushed. Connie's support through this was clutch for me, as she instilled the confidence I needed to overcome this hurdle. She reminded me that, with her help and a little creativity, I could still meet my goals. Not only did she assist me in recreating something similar to my original vision, she also put in her own time and devotion to ensuring I was going to be safe: she came to visit me in the hospital, researched helpful information related to my condition, and attended an appointment with me so she could ask questions that helped me design a new vision for my birth (that met the OB's requirements and still allowed me to follow a more natural path). When I reluctantly found out I would need to be induced, for example, she asked if I could use more natural methods (a foley bulb) to assist in my induction instead of medicinal means (Cervidil). On the day of my induction, Connie was by my side for nearly 24 hours to help speed things up! 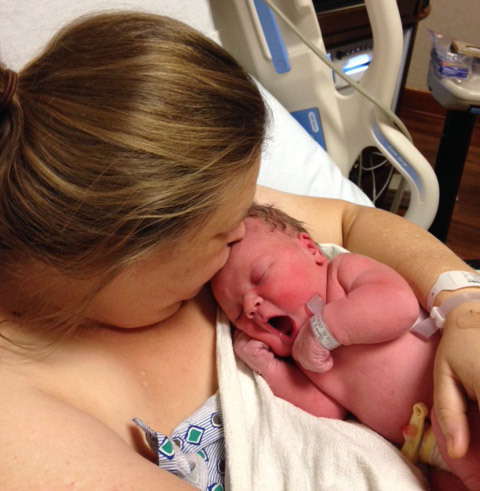 Her own daughter was close to giving birth, but Connie made her attendance a priority for me. 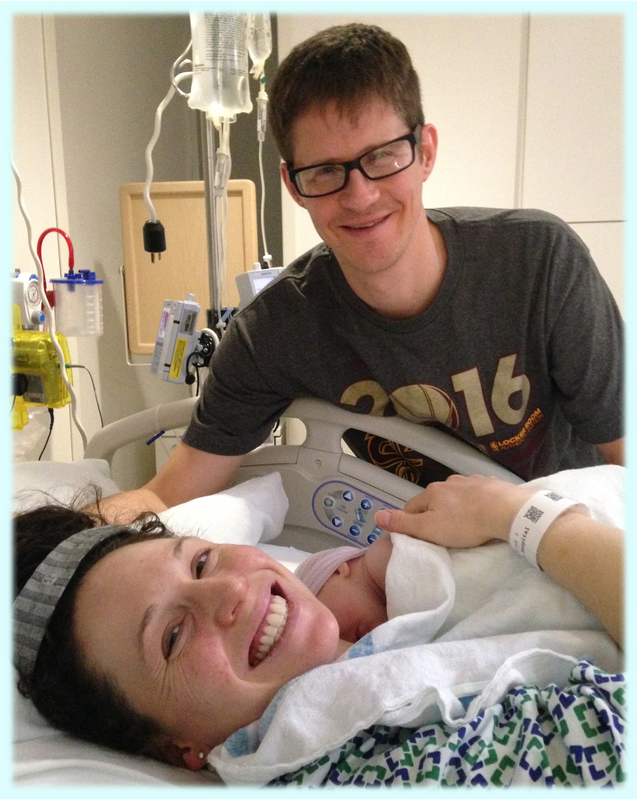 While in labor, she supported my use of Hypnobirthing methods and also brought her own ideas for pain relief to the mix via the Robozo and peanut ball. Despite the fact that I had to be on fetal monitoring, Connie advocated for me to be able to walk around. When one nurse stalled my progress due to "protocol," Connie successfully worked with the staff to avoid future use of the unnecessary practice. 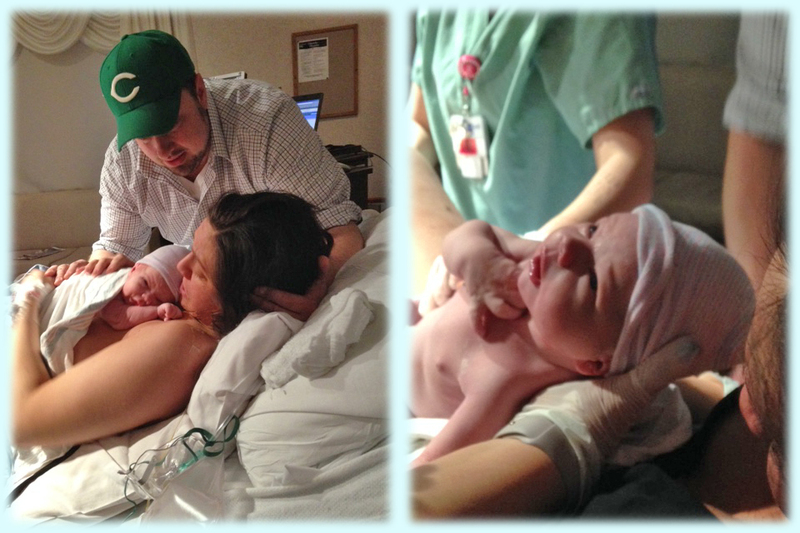 Her help and warm presence allowed us to avoid cesarean and safely and lovingly welcome our sweet boy into the world! 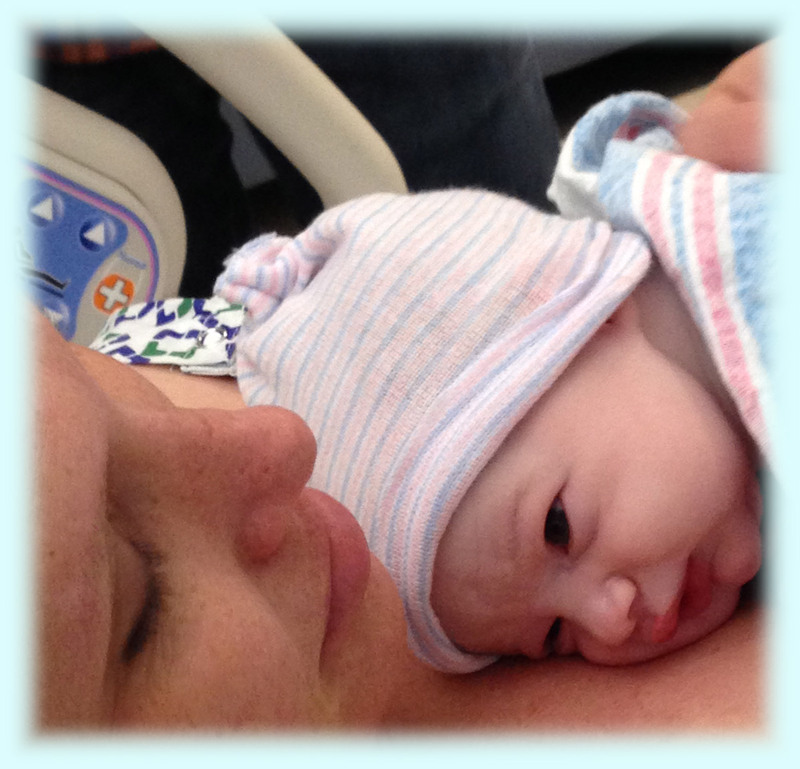 Note: The following is why I'm a doula, and why I love my job so much! This was just posted to DoulaMatch by Danielle. What a joy it was to help this couple, and so satisfying ... Here's Danielle! 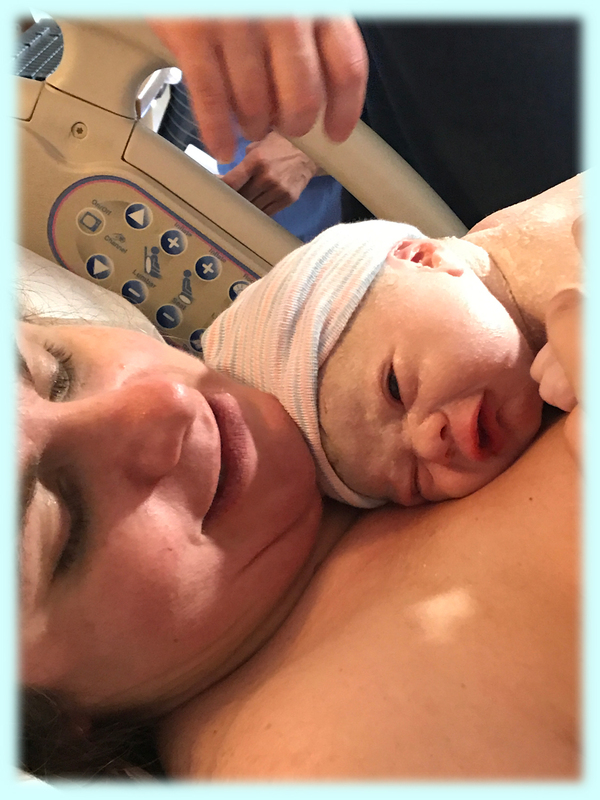 My first birth resulted in an unexpected c section. I had a doula and she was very helpful to me and my husband. 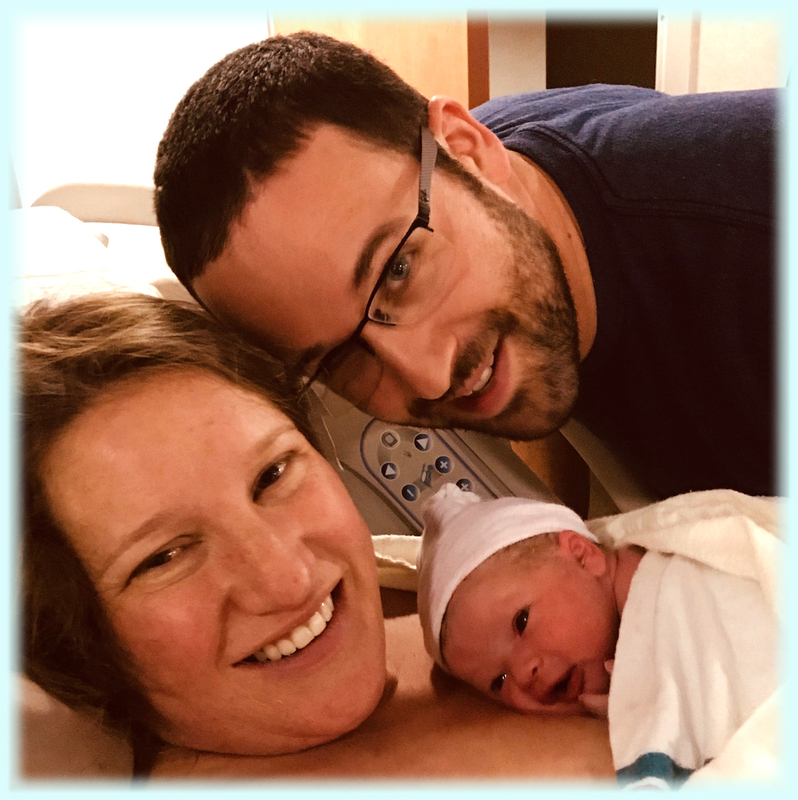 After meeting with Connie for this second pregnancy when my previous doula was unavailable, my husband and I quickly realized that she would be a good fit for us. 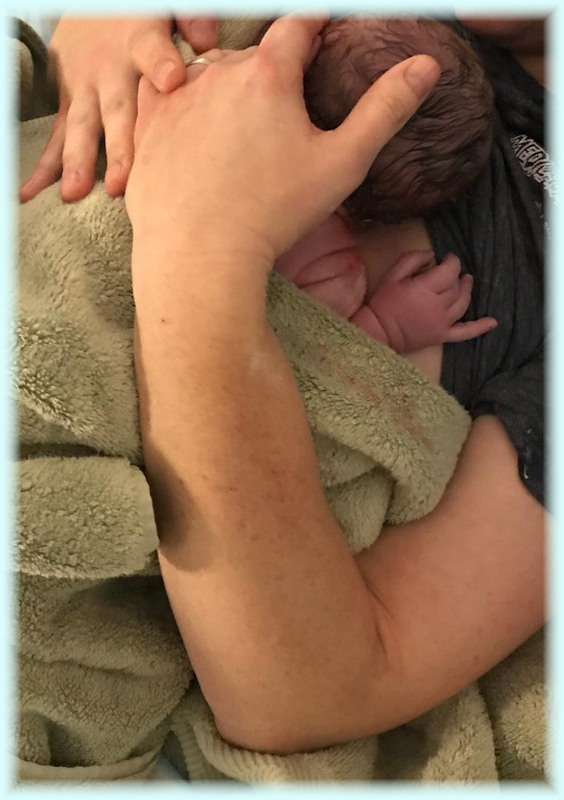 I had a hard time coming to terms with the way my first birth turned out and I was really hoping that I would be able to have a VBAC* this time. Our two prenatal visits with Connie were wonderful; she was so knowledgeable about the birth process and had lots of physical and mental exercises to help us prepare for a VBAC that really helped alleviate my fears and nervousness. She also had a very kind and loving "nana" vibe to her. She also kept in touch regularly by text. I actually felt very motivated and excited for this birth. 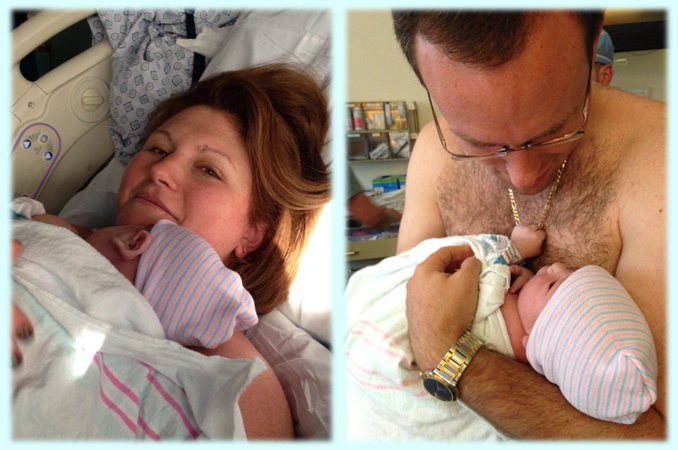 When "labor day" finally came, Connie met us at the hospital. She was by our side the whole 16 hours of the longest day/night of my life. There were a few times when I felt like I couldn't take it anymore, but she helped me keep my focus. I was able to have the VBAC I wanted, with no meds to boot! 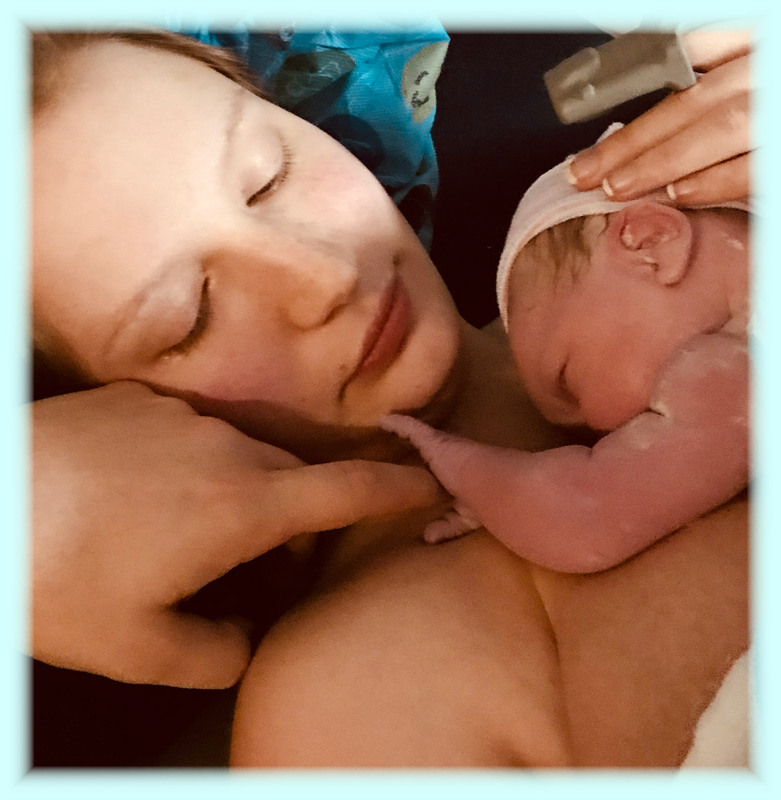 I thought I was satisfied with my first doula, but after working with Connie, I know now what doulas can and should be, and what they should offer. Words cannot express how grateful I am to Connie for what she helped me to accomplish. It's OK Lucas, Daddy's got you! 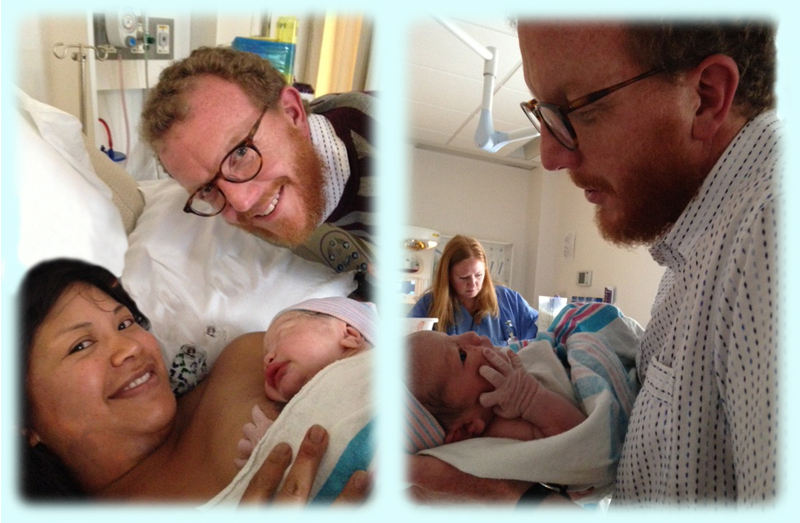 I do not believe enough words exist to describe how amazing Connie was during my labor. Caring and attentive, gentle yet firm, Connie supported me throughout one of the most difficult things that I have ever accomplished. When I thought I could no longer go on, Connie encouraged and reminded me of what was awaiting at the finish line. She not only assisted me through the obvious physical and emotional challenges of pregnancy and labor, she also stepped in to be my voice when I could not muster a word- e.g. telling family members that trying to have a conversation with me during contractions is not the best time! And I loved her for that. Connie's years of experience in the medical field along with her personal experience of being a mother make for the perfect combination. She sensed when and where I needed her most and would not skip a beat to get there. Not only was Connie a tremendous pillar for me, she also assisted my partner and family throughout the entire process- answering their questions and giving them updates. Because we all know that sometimes family can be a handful! 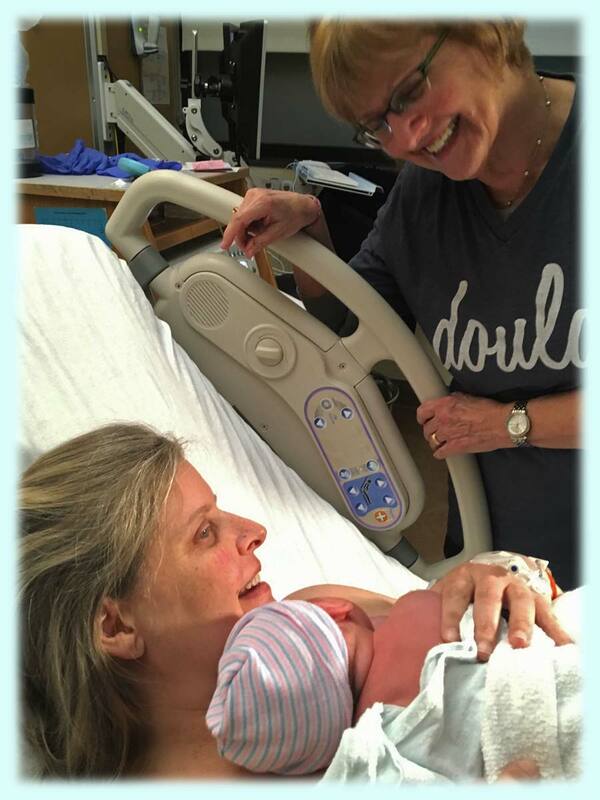 If you are looking for a doula who will inspire, support, and encourage you through such a beautiful yet uncharted and exhausting life event, Connie is the way to go!" As your doula, I'll stay by your side, no matter how you end up birthing your baby! Kati & Justin with Anderson greeted with love and prayer! 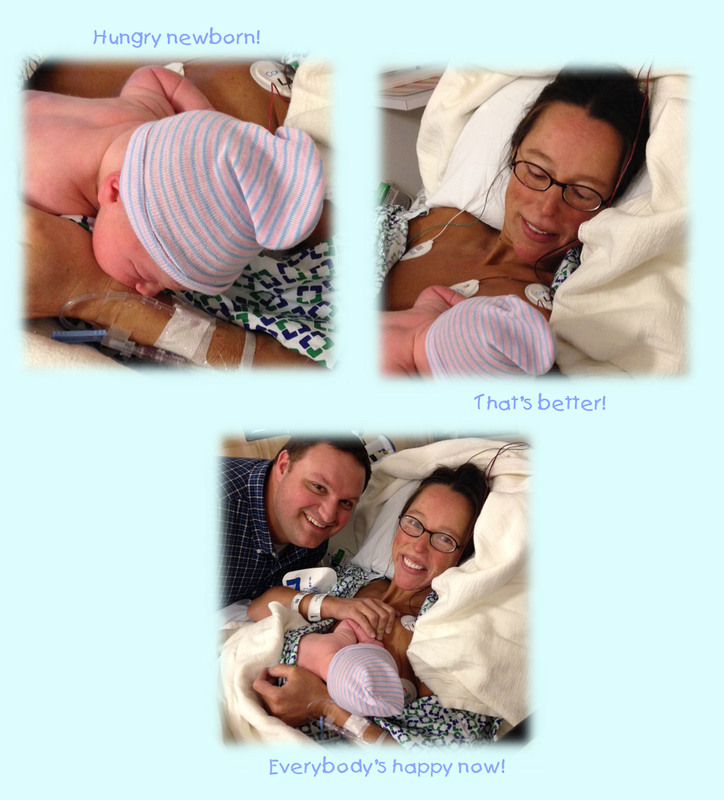 Connie was amazing, I am so happy she was with us in the birth. 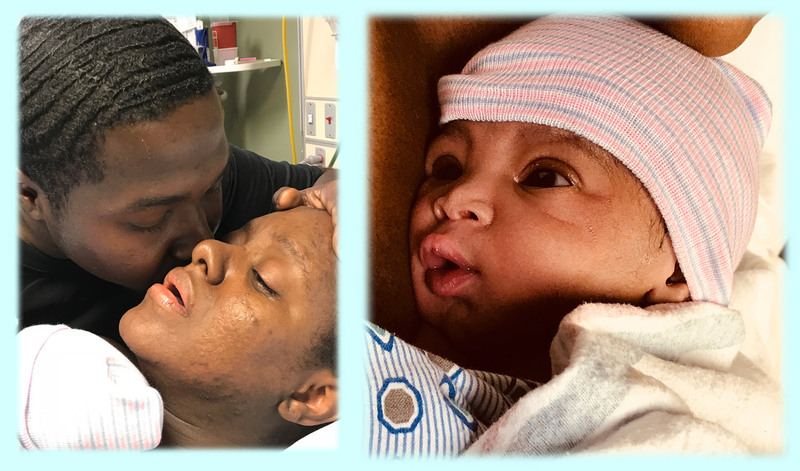 Her presence and experience really helped me and my husband, she said exactly what I needed to hear, and made sure I am relaxed, assured and motivated to go through with my natural birth. Her response rate is amazing and her support was very helpful throughout my tough pregnancy and blissful birth. I did not have my mom or any family around me where I lived; Connie felt like having a very cool and knowledgable mom with me at birth. I remember how she felt things I did not say. At one point during contractions while the nurse and I were talking, and then I had a tough contraction and Connie whispered in my ears " you don't have to be sociable now, focus on the contraction" , which helped me focus better and it was all the guidance I needed to hear at that point. She helped me get around while in labor, she did some her pressure points tricks to help me relax or get over the nausea in transition. When I wanted to use the birthing bar, her rebozo was ready! she is the best! I am so happy I chose her for my natural birth and highly recommend her. She is great and so easy to talk to before, during and after birth, she's all the support I needed! Connie was wonderful to work with. 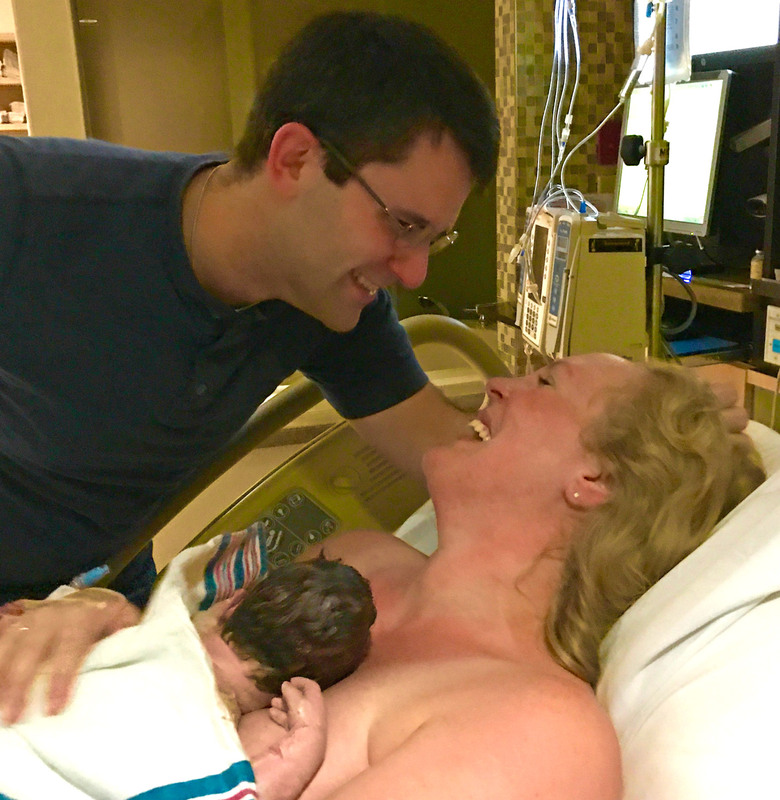 She helped me have the natural birth I desired and she worked well with my husband and I to bring a sense of calm to our labor. She has great tricks up her sleeve to help you remain calm and focused. I would highly recommend her. You were in such a hurry to meet your mommy & daddy! Connie is the best doula even when things happen so quickly. She's knows exactly what to do. What a happy surprise you were, Baby! 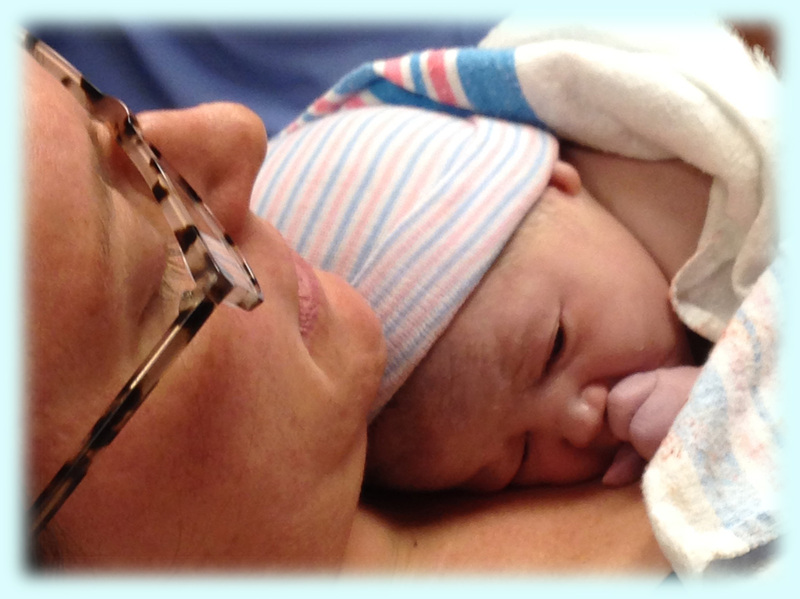 Connie was wonderful and knew exactly what I needed during my quick labor. Although she came in as my back up and I never met her before, I felt immediately relaxed the minute she started talking with me. 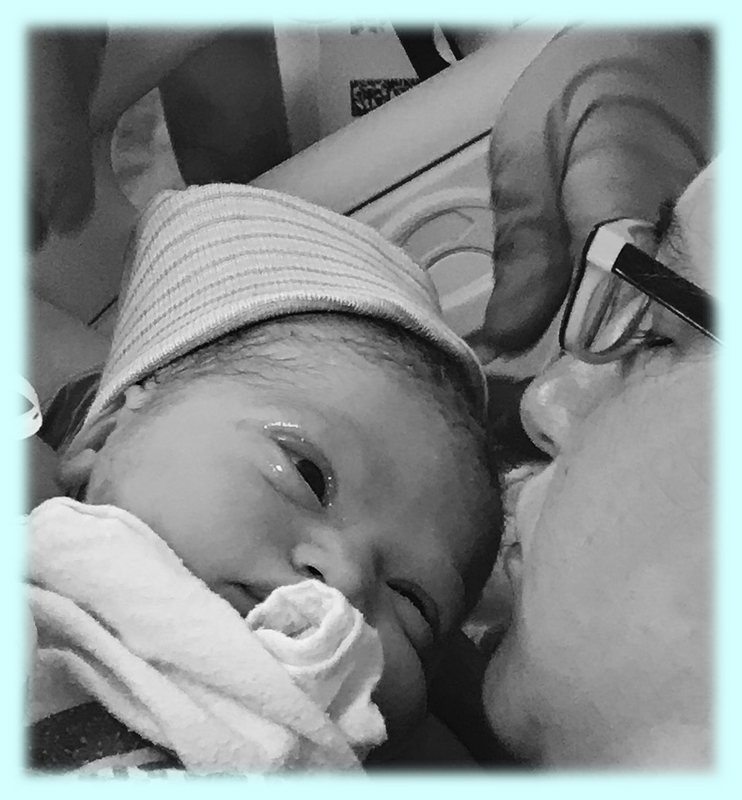 Her support made it possible for me to have the exact birth I wanted! Into the arms of your loving parents! Connie was absolutely amazing as our doula. Her approach is thorough: she is so well researched and offered us so many interesting books and articles and anecdotes on labor support. She is also deeply caring and relentlessly positive. She made herself extremely available to us-- always responding quickly to my random texts, sending me cheerleading messages in the weeks leading up, and especially on the night I went into labor she was at my side in a heartbeat with loving hands and a gentle demeanor. We also really appreciated her medical expertise-- with 29+ years experience in nursing and in medicine, she knew all the ins and outs of the hospital experience and was a seamless team member in our L&D room. 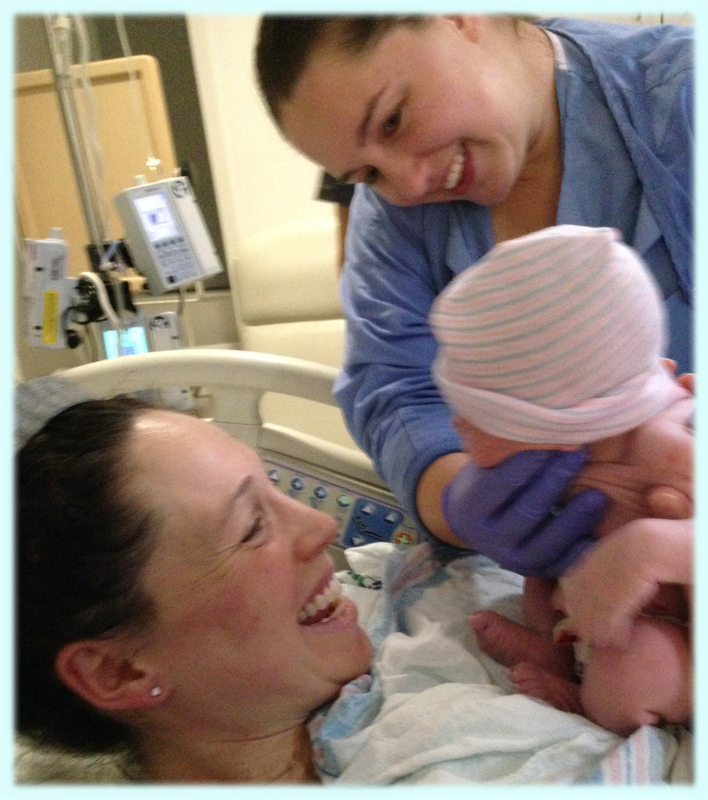 Literally all of our nurses and midwives commented that we "had the BEST doula" and that they loved working with her. I couldn't possibly recommend Connie more as a doula-- compassionate, intelligent, present, soulful, prompt and extremely reliable. Absolutely everything we could have asked for!! What a beautiful birth ... 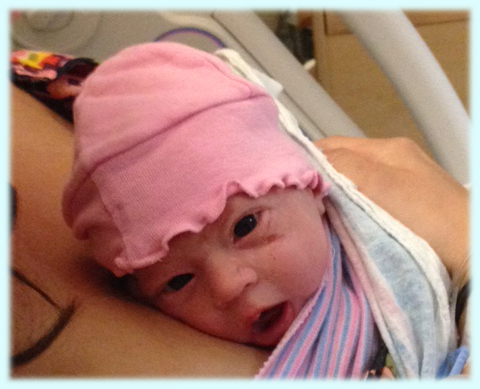 Welcome Lydia! Connie is an RN and has many years of hospital experience. I had a successful VBAC and that is in no small part to Connie's calm and knowledgeable demeanor in a hospital setting. My husband is a PhD biochemist and did not understand why I wanted another person (I believe the term "witch doctor" may have been used by him at one point) in the room with us until he met Connie. We both immediately felt at ease because of her extensive medical knowledge and background as an RN. 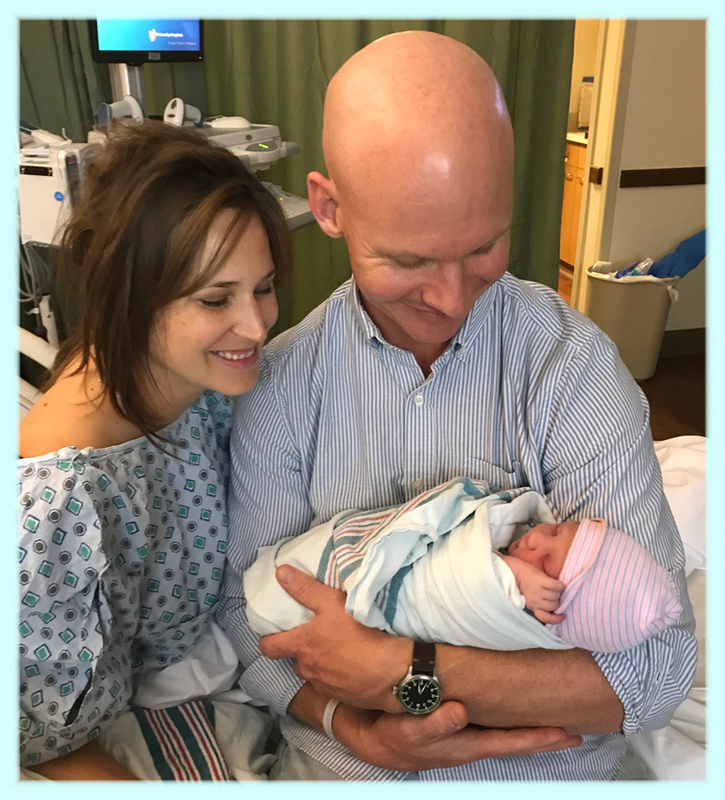 My husband said after the birth that "everyone should have a Connie" and could not imagine going through the birth process without her and I completely agree! Connie is a wonderful intermediary between you and the doctors. Connie excels at "reading the room" of doctors and nurses in a unique way because she was/is one of them. You have probably heard that medical professionals make the worst patients which is often because they understand too much of what is going on around them. Connie understands the policies and procedures that the medical team is trying to uphold and can tell you what is likely going to happen next. She can also tell if things are progressing normally or begin to prepare you in the unlikely event that something is going wrong. 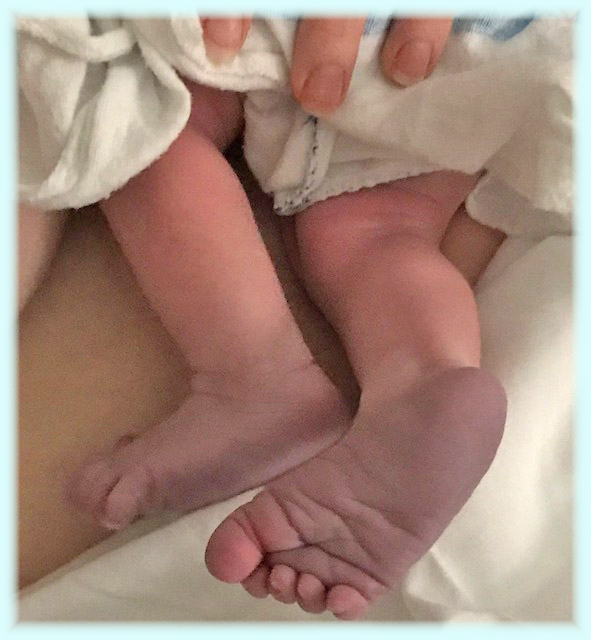 This was invaluable to us during my 13+ hour labor! Connie will stay with you the entire time and supports you in the way that you need. Connie walked the hospital halls with me for over 10 hours, showed me exercises to help labor along and talked with me the whole time. This is what I needed to make it through; my labor flew by and was as pleasant an experience as possible for me. You may need another form of support but I have no doubt Connie will be there for you and never give up on you! She also was available via text at any point during my pregnancy which put both my husband and my minds' at ease. She provided me with exercises to be active during pregnancy as well as to help progress labor. 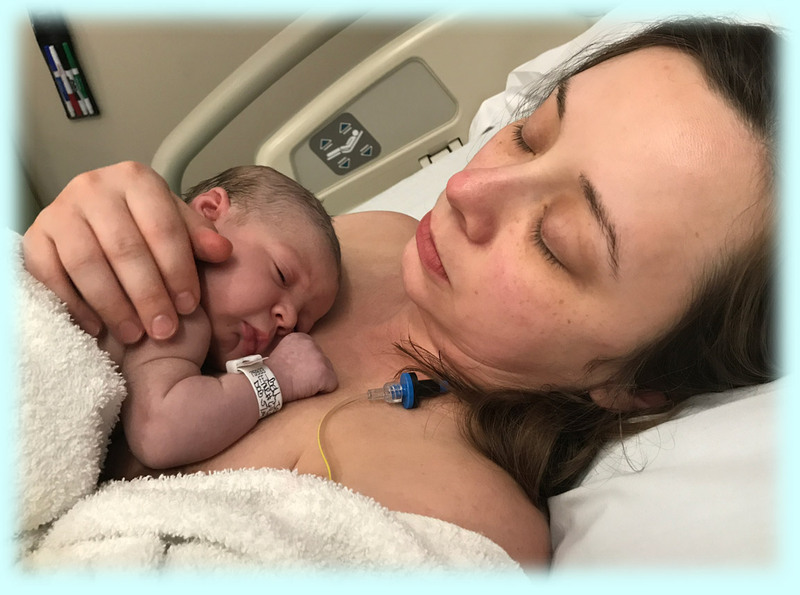 We also felt confident through talking with her that we were not going to the hospital too soon (a fear of mine) so that I would not end up having an unnecessary C Section. Connie will help support your decision about pain medication, procedures, etc. My thoughts on pain medication were that I would like to go natural but I was open to the idea of an epidural if needed (my hospital does not offer laughing gas or any other local). 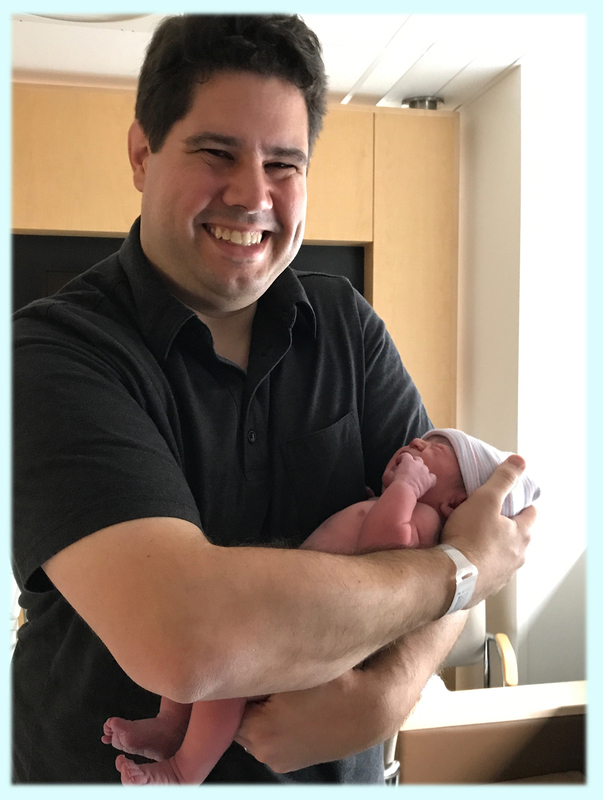 After being awake for over 48 hours and in active labor for 13 hours, I asked for one and I wasn't worried that Connie would judge me, which turned out to be the right decision for me at the time. Also I was very certain that I did not want Pitocin and Connie helped communicate that effectively to the doctor for me. 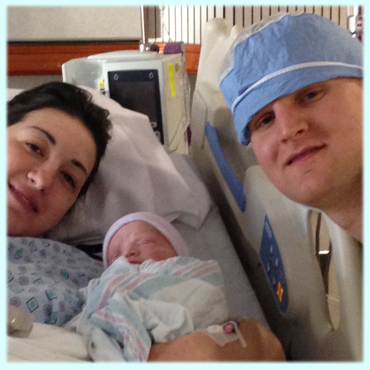 I was not given any Pitocin during labor, which I believe was invaluable for me to have a successful VBAC. And finally... My dog liked her! Obviously this may not be of importance to you, even so let me explain. My dog is a rescue Springer Spaniel/Lab mix that does not realize she has been bred out of the two friendliest breeds on the planet. She hates everyone outside our immediate family and growls at everyone she meets. She let Connie pet her within 15 minutes of meeting her! She never lets anyone pet her, especially at the first meeting! It may be important to you that Connie is very comfortable with cats and dogs (she also has a rescue dog) and obviously children. She immediately showed she was at ease with our pets and toddler. In closing, I understand how tedious it can be to read through all of the recommendations and accreditations to find the right support system for one of the most important times in your life. 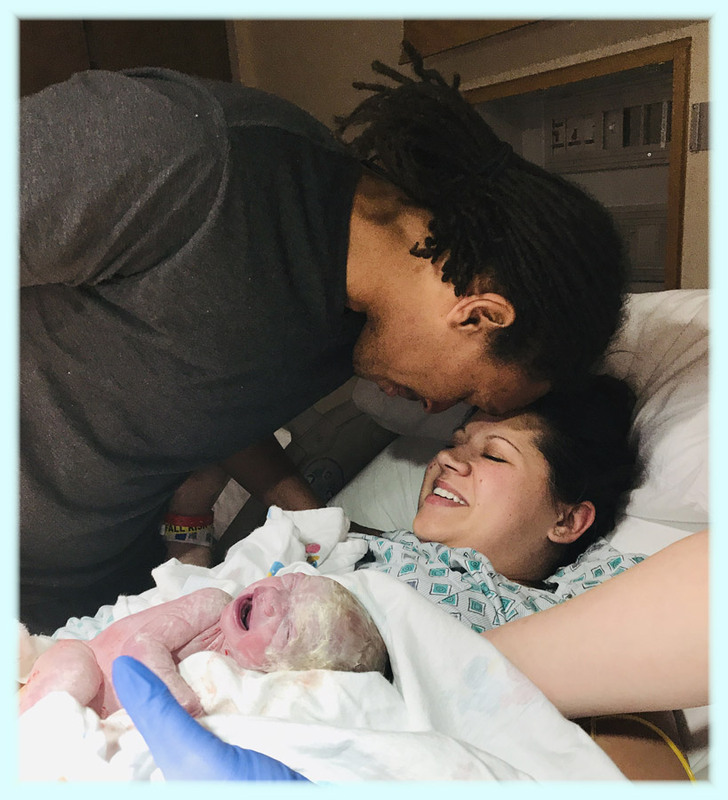 As a VBAC mom (my first was planned C Section due to a breech baby), I had never been in labor before and wanted to do everything in my power to have the best possible birth experience and avoid another C Section. There is no doubt in my mind that I had such a wonderful experience because I had Connie by my side. Best of luck with your doula decision and best wishes on a healthy, happy pregnancy! Overwhelming Love at First Glance! Working with Connie was a great experience. 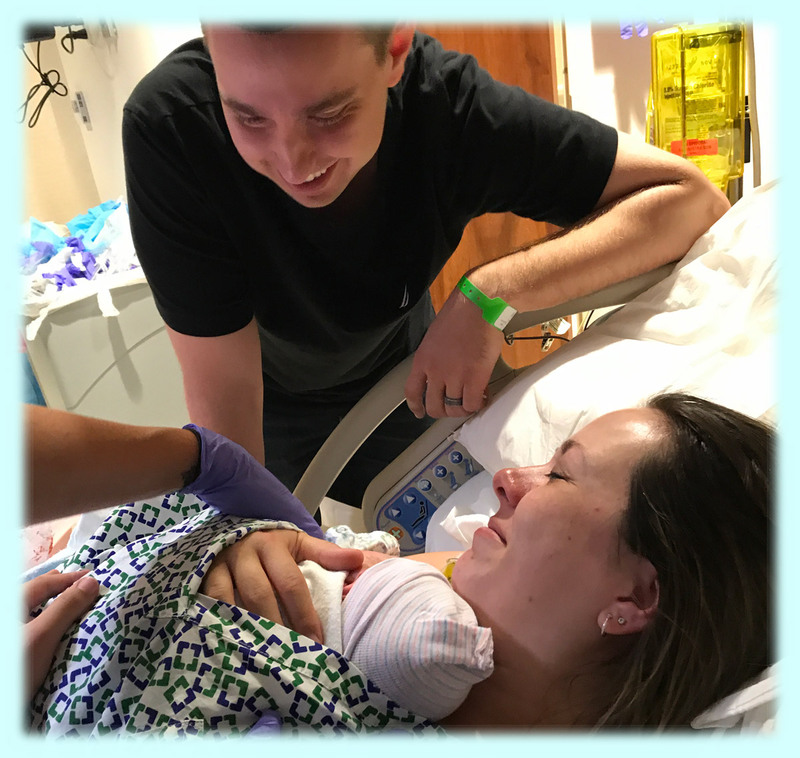 She really helped guide my husband and me through an intense labor! I don't think we could have gotten through it as well as we did without her. I would highly recommend her to anyone! The Happy Family! ... and ... 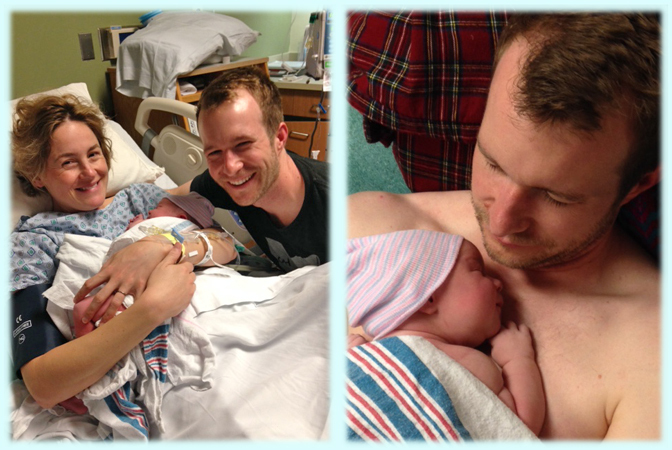 Skin to skin with Daddy! Hey Daddy can we watch the Indians games together? Connie provided much needed support during our labor. We felt well taken care of and supported in her care. We would not want to have a baby without her! I can't say enough wonderful things about Connie. I'm so sorry I didn't find her for the births of my first two daughters; she was exactly what I was looking for and hoping for! 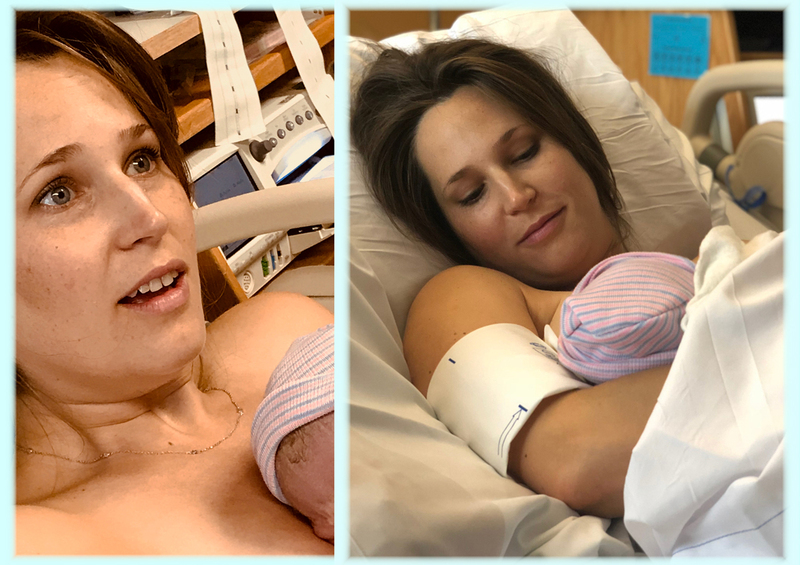 I always wanted to have a completely natural childbirth experience, and I knew for my third child I really wanted this to happen. A friend recommended Connie to us, and after I met her I knew we would work very well together. She is probably the most genuine and kind person I've ever met. She is also very knowledgeable and practical, which I loved. She is the perfect doula because she has such a variety of backgrounds and experiences: mother, grandmother, teacher, RN, and doula! During my labor and delivery, she was immensely helpful and calming. She also had a lot of options to support me when other methods we had tried weren't working. She was positive and motivating, and always made me feel like I was strong and capable. I would without hesitation recommend Connie to anyone and everyone; she really is the best! Connie was amazing! My second delivery was so much better than my first because Connie was there. She helped prepare me at every step, even though I thought I knew what to expect with it being my second child. She was always there for me when I had questions or wanted to bounce ideas off someone. Both my husband and I agree, had Connie not been with us in the delivery room I would have had a much longer and frustrating delivery. Connie offered suggestions to keep me moving, which was my goal, she helped me find strength I didn't know I had and kept me focused. If we ever have more kids Connie will certainly be there; I wouldn�t deliver another baby without her now that I have experienced with her. Connie is an amazing doula! Sweet baby girl how we love you! Connie was amazing to work with! My husband and I really benefitted from the prenatal visits because it gave us a non-clinical atmosphere to talk about hopes, fears, etc. surrounding the labor process. We felt like Connie became a friend, which made us feel relaxed. I trusted her completely by the time the big day came. I'd not hesitate to recommend her services! So long awaited, so loved!! Connie continually exceeded all of my expectations. She provided strong support and is committed to the whole birth process. 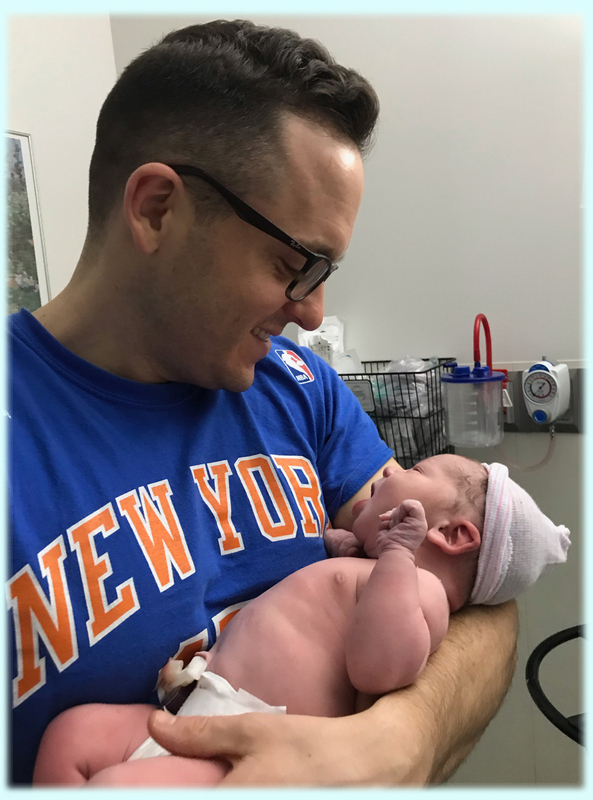 She was available for any of my questions throughout my pregnancy and didn't bat an eye when my active labor exceeded 24 hours, with her cheerful sense of humor intact. She doubled as a source of strength for my husband as well. We just love her and are eternally grateful we found her! Brand new daddy melting into a puddle seeing his newborn son! Such a gentle, peaceful birth!! 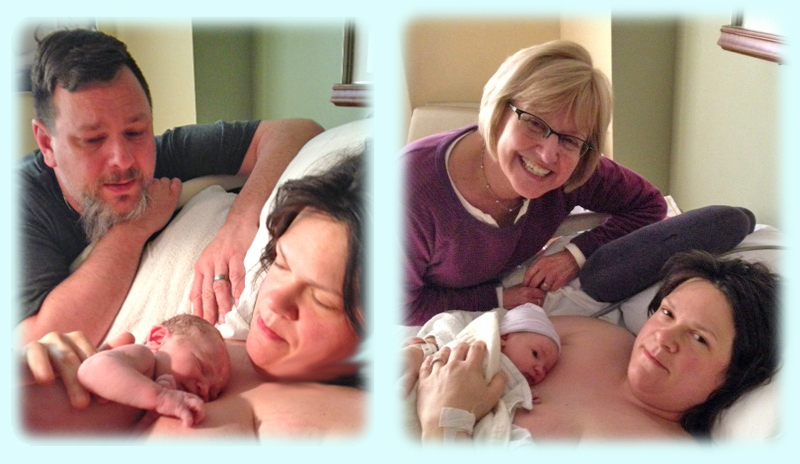 Connie helped facilitate the most beautiful birth experience for us. 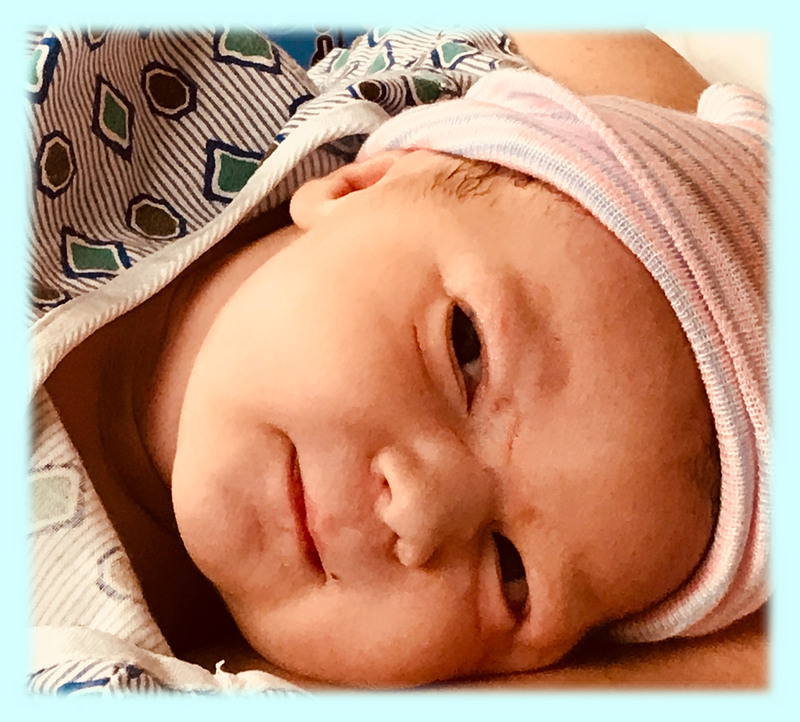 Connie is the perfect blend of compassion, smarts, and assertiveness- just the kind of person you want to usher you through the exciting (but sometimes scary) experience of birth. The prenatal visits were so helpful in teaching us what to expect, putting our minds at ease, and making us feel confident in our goal to have an unmedicated birth. 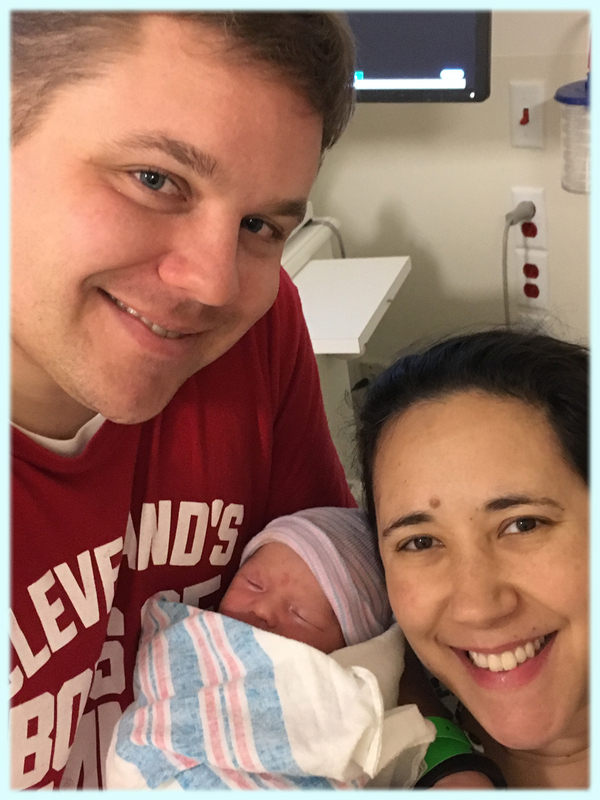 Having her available to text with questions was also so helpful, especially as we go closer to my due date; her advice helped us get my labor going naturally when I was past my due date and my OB/GYN was talking about a hospital induction. 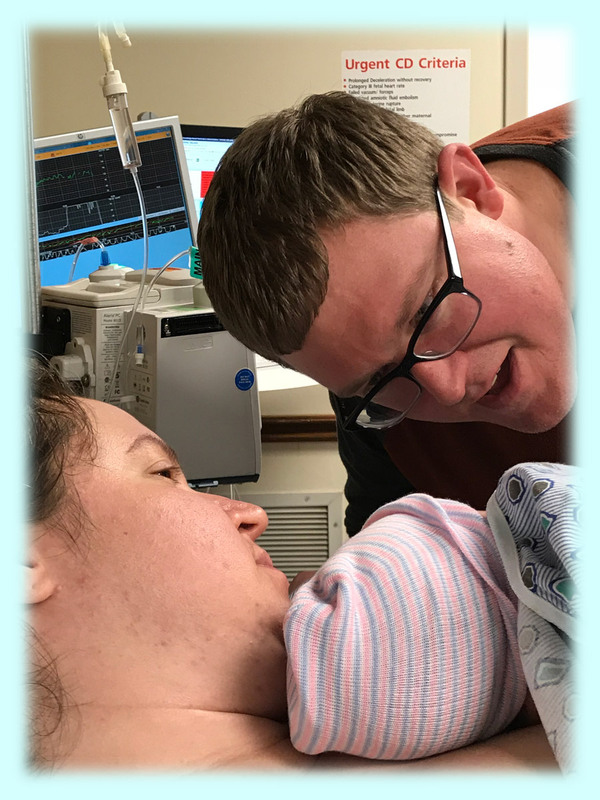 She also was such a great resource and advocate once we arrived to the hospital, working well with the hospital team to get permission for me to be able to walk around with a portable monitor and think outside the box to keep me comfortable and my labor progressing. 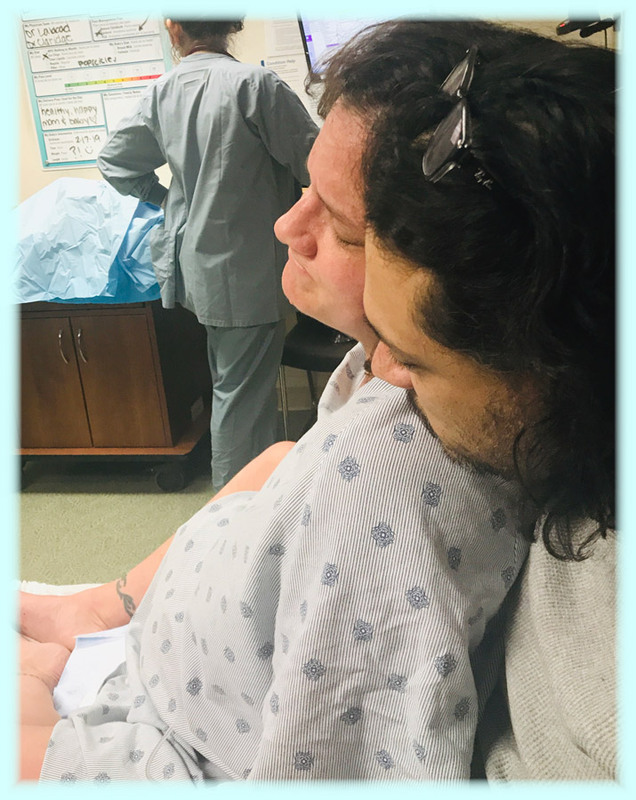 She was also very supportive when we needed to deviate from our original birth plan and accept additional medical intervention (IV, and pitocin). 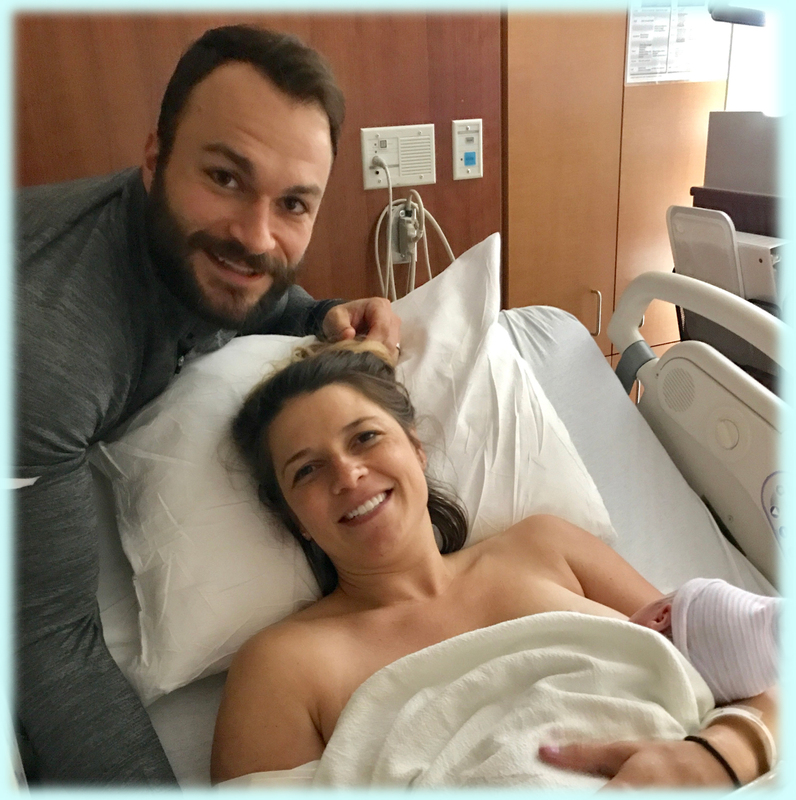 Throughout my labor I felt like Connie was like a mother figure to me and my husband- we felt so much love from her and felt totally comfortable having her be part of such a special and intimate experience. She seemed to always know exactly what I needed to be comfortable and stay in a calm mindset. 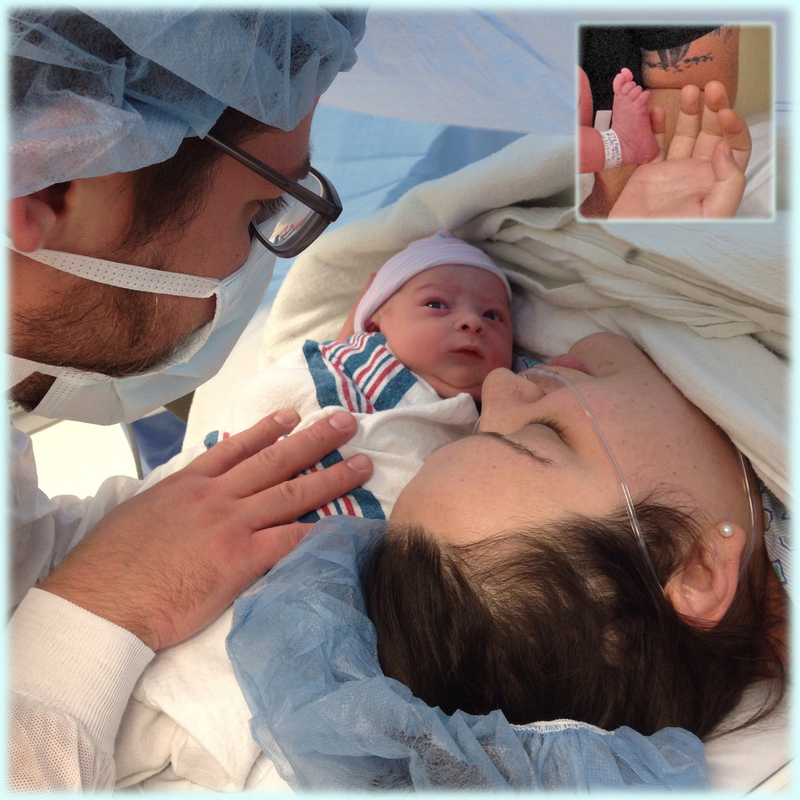 With her amazing accupressure skills, I was able to achieve my goal of a pain-med free birth! I really don't think I could have done it without her. We are so grateful for Connie and will be calling her for our second child! Emily, Josh and Baby Macsen Emily, Josh and Baby Ruby see above! Bebe Deux was a quick study! Thank you, God, for this precious gift! A well deserved rest and my baby is here! Connie was my doula for the birth of my first baby. She was absolutely phenomenal in her knowledge, patience, and flexibility. She gave me all the tools I needed to have the kind of birth I desired. I'm so grateful to her and highly recommend her, and her services! Our Hanukkah Surprise! What a bright light you are! A sweet and gentle birth! This kiss made all the hard work worthwhile! Rejoicing about her remarkable birth! The labor was long, but joy came in the morning! What a wonderful suprise you were! I'm so glad you are a child of mine! So much love for such a tiny girl! 2nd time with Doula Nana see Crystal, Mark & Baby Aaron on this page! So long awaited & now so loved! 2nd time with Doula Nana see Cat, Brian & Baby Margot back up this page! 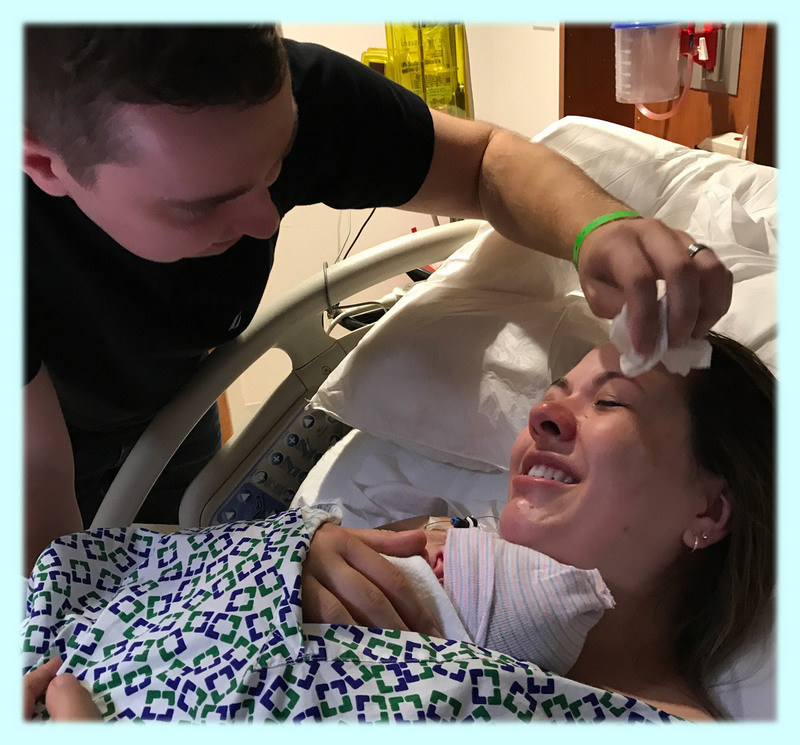 A quick yet sweet birth! Being asked to be a back up for a Primary Doula is wonderful thing. 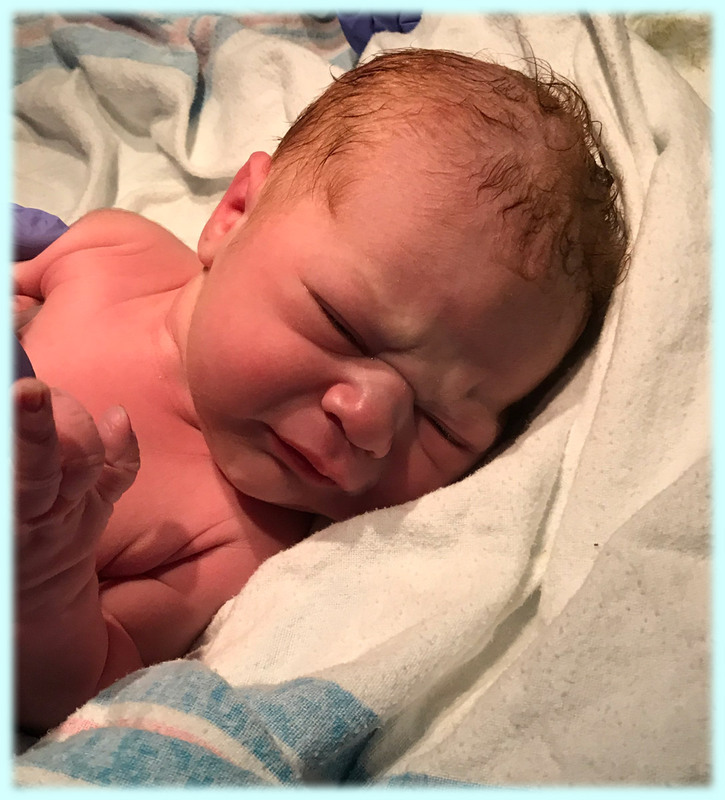 I remember being called to go to a birth at 1:00a.m. Doing this is not a chore, it is an honor. Should I be asked to be a back up for your birth it would also be an honor. Our experience was great. Connie was our back up doula and she was very supportive. Note: I was with Cheryl for 10 1/2 hours of her labor including the birth. 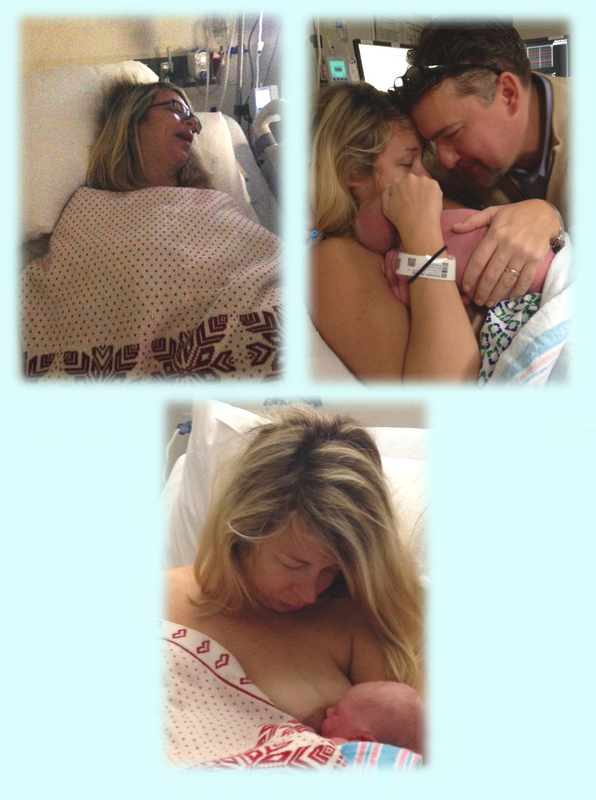 The "Magic Moment" ... labor has just ended and Ruby is here! Miss Ruby Holiday! Thank you Doula Nana for being there with us! Em was in the zone but those chair lunges saved the day! 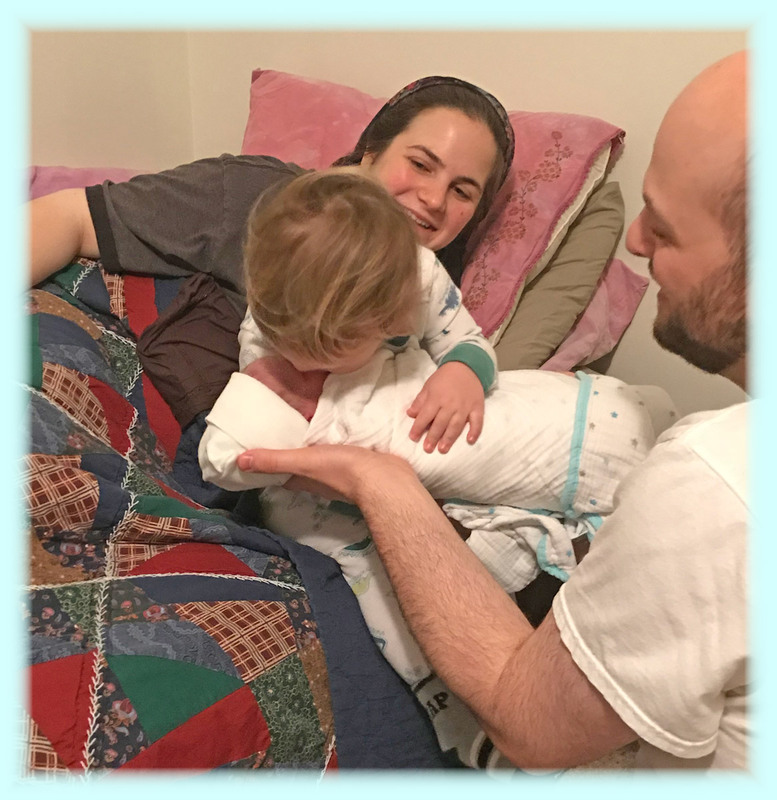 (Joshua gave Doula Nana five Stars!) Great knowledge and holistic approach. Was comforting to have her support during the labor. My fiancé, Joshua, and I were expecting our first child and started looking for a doula with only a month before our due date. 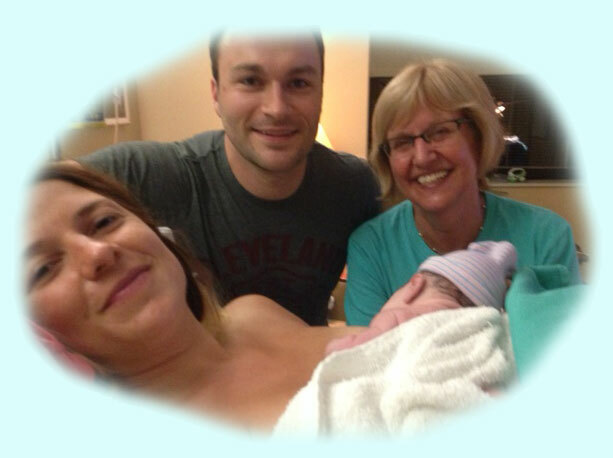 We met with a couple of Doulas and after meeting Connie, we knew she was the one! She had a vibe that was both nurturing and professional. Connie was thorough and really took the time to get to know us and what we were hoping to achieve with our delivery. 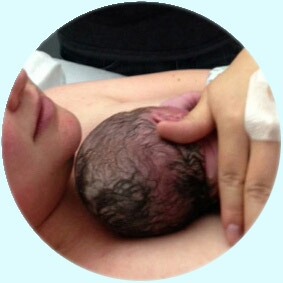 My heart was set on a natural birth and Connie had knowledge of many labor coping techniques (acupressure, Rebozo method, breathing techniques, exercise ball, etc) that I felt would aid in a natural delivery. She is a retired nurse, an added bonus that would contribute to her ability to work with our team at the hospital. Beyond that, she was clearly excited about our baby and our experience. A week passed after my due date and we were scheduled for induction (cervidil and then pitocin) which was honestly disappointing since we could expect up to a 12 hr waiting period for each augmentation, but she assured that we would make the best of it. Connie continued her support with the new plan and kept in constant contact. The cervidil went in at 6 pm and an hour and a half later, my water broke. Josh informed Connie and she rushed to the hospital. Connie kept me moving during my contractions and I trusted her advice, even doing lunges on a chair when she suggested it (we now joke that's what got my baby moving!). Next we started pushing and Connie comforted me through that stage. She did a great job of keeping Joshua involved and working with him. 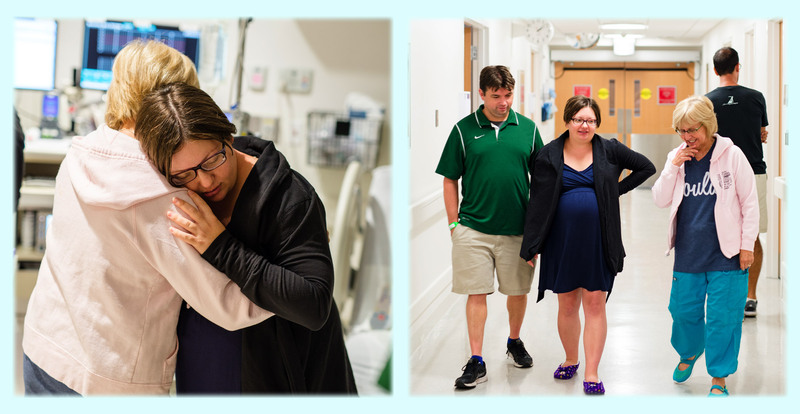 With her support I was able to avoid the use of pain medications and by 2 am we had our sweet baby girl, and Connie snapped our first family photos. Connie was lovely and we are so happy with our experience and her services. 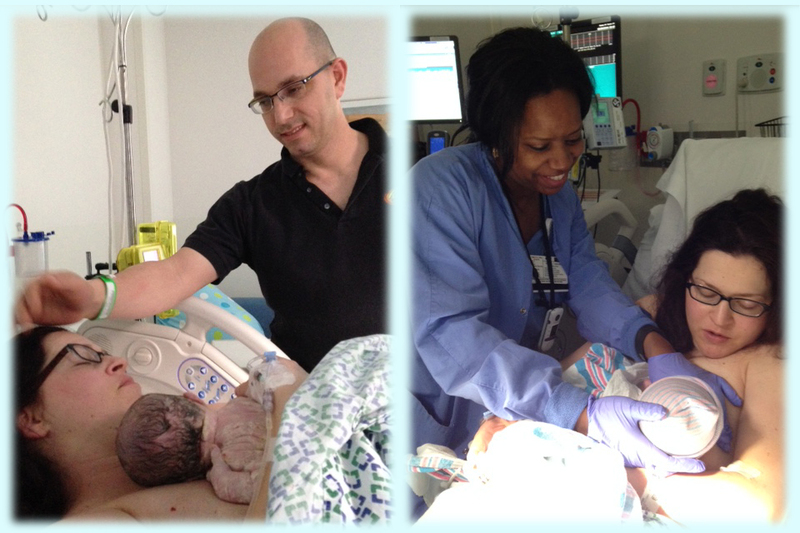 She obviously loves her role of doula and cherishes the opportunity to help bring sweet new babies into the world. Are you tired from your journey to me? I can't believe you're here! Connie is professional, knowledgeable, caring, and thorough, from start to finish. She is passionate about what she does and is the perfect blend of calm and assertiveness which I found reassuring. With Connie, you and your baby will be in good hands! Connie recently helped me through the delivery of my third boy. She was wonderful. I wish that she had been with us for the delivery of my other two babies. I really enjoyed her pre-natal visits to our house. 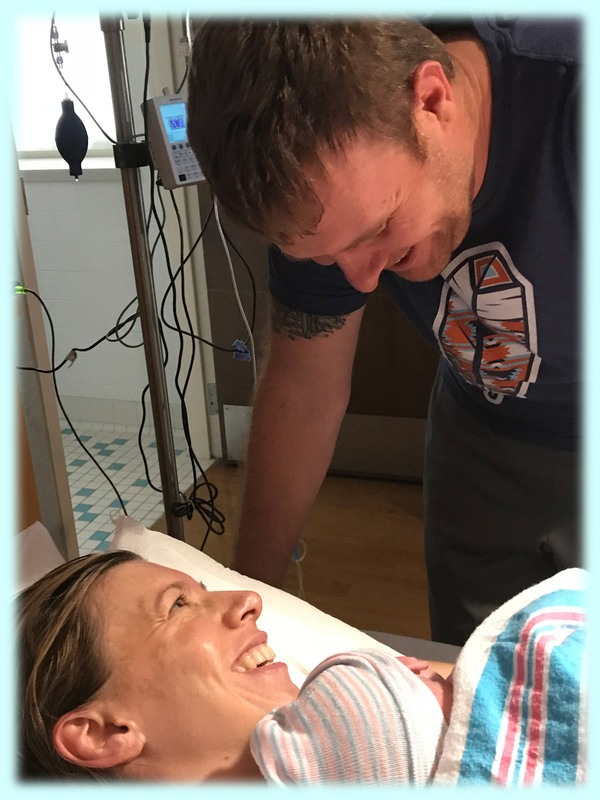 She helped my husband and I connect and take time away from our busy days to think about how to best support each other and work together during and after delivery. She is very professional and helps build a great rapport, so when you go into labor you feel very comfortable with her. She is assertive, yet kind and comforting. I will always be so grateful I found her. During my labor I implemented all the exercises and techniques Doula Nana taught me. 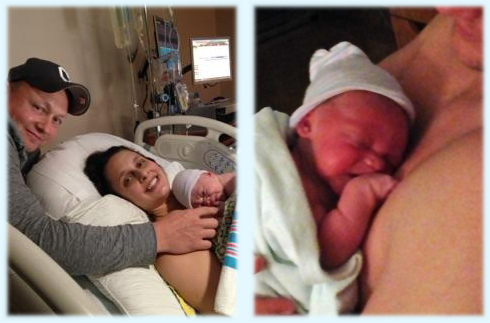 I feel they lessened my pain during labor (I typically have horrible back labor) and shortened my delivery time. Also, she knew just the right time to head to the hospital, when I would have waited a bit too long without her guidance. Thank goodness, because we barely made it in the hospital door before the baby was born. It was a wonderful experience. Your big sister can't wait to meet you! It was a long journey but you landed safely! 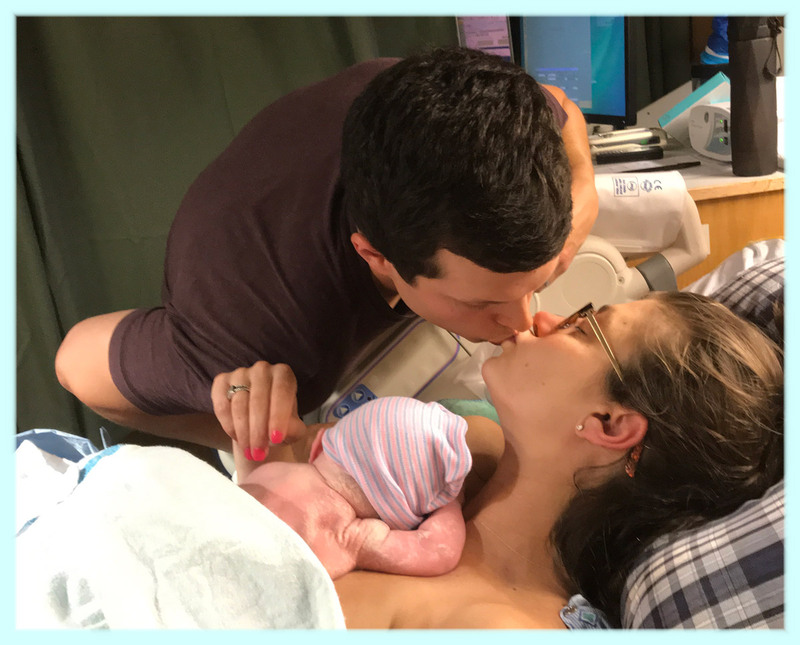 When my husband and I found out we were expecting our first child, we knew we wanted to bring him or her into the world the most natural way possible. 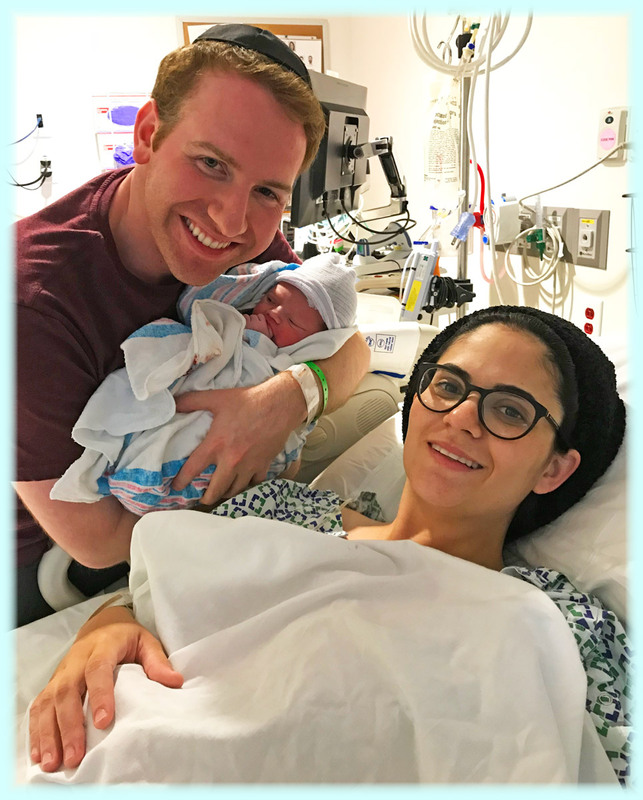 We met with a few doulas and I knew that I wanted to have Connie's bubbly, encouraging personality in the delivery room with me and my husband. My due date came and went and I eventually had to have an induction scheduled. Although, I started contracting on my own the night before, I did have to end up receiving Pitocin. Connie arrived to the hospital and helped me labor while still having to be monitored. I used the exercise ball and she helped with pressure points in my shoulders and lower back. She suggested we start walking the halls to get things moving because "we were here to have a baby!" Walking certainly got things moving and I called for the Jacuzzi tub as soon as we got back into the room. 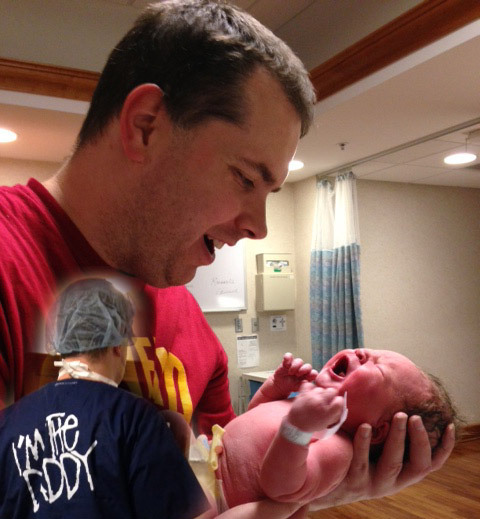 After laboring for many more hours, I did eventually call for the epidural. This slowed my labor down and eventually it was time to push. Pushing for three hours total, Connie stayed by my side and suggested different positions to help get baby in position. 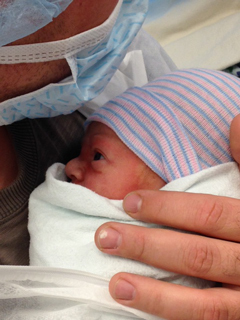 After pushing with no success for so long, my midwife called for a Csection when baby's heart rate began to drop. Connie was very gentle, yet persistent in being with me in the OR and I'm happy that she was! 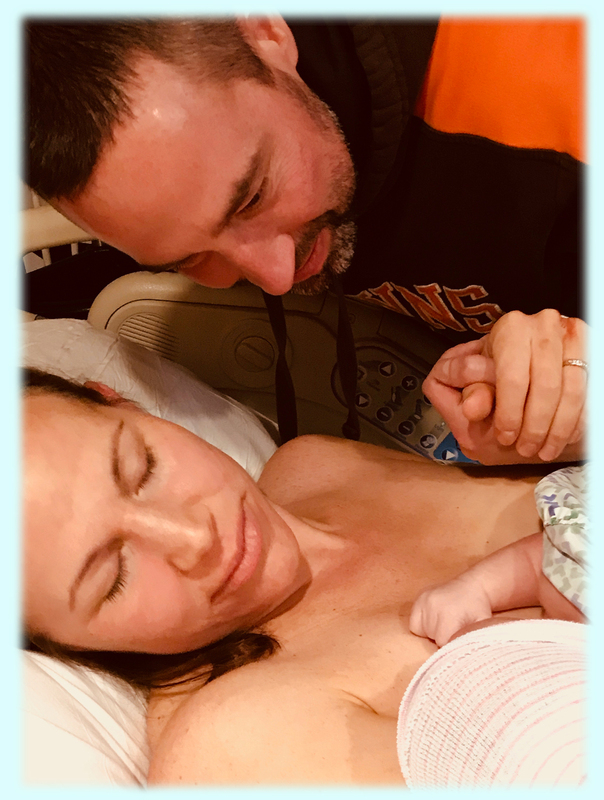 She calmed me when I was completely jittering and drugged up- and she was able to capture many special moments on camera of us becoming a family of three. I would absolutely recommend Connie- she is truly one of a kind! 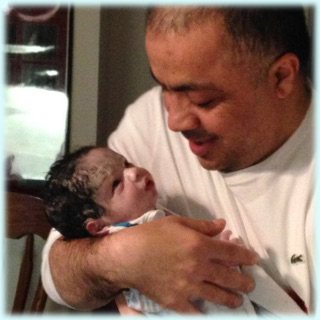 Our miracle now in our arms! A very Special Father's Day present! Surprise I got here early! Our experience with Connie was exactly what I was looking for, and more. 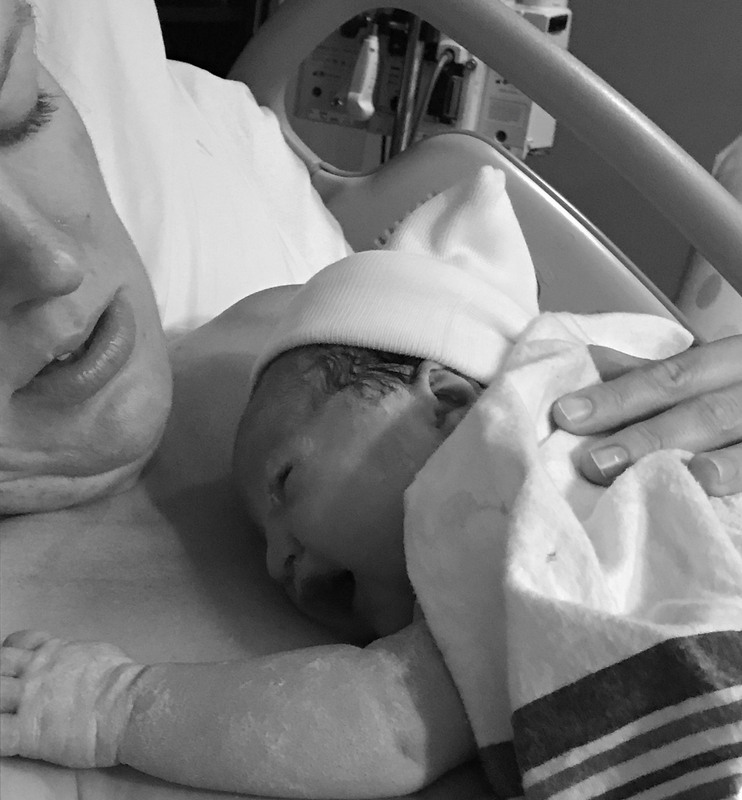 I decided I wanted a doula when my sister had her first child and one of her nurses, who had been a doula as well, helped her through labor beautifully. I decided I wanted that kind of coaching. Since Connie had been a nurse for so long, I immediately felt extra-confident I was making the right decision in choosing her as my doula. 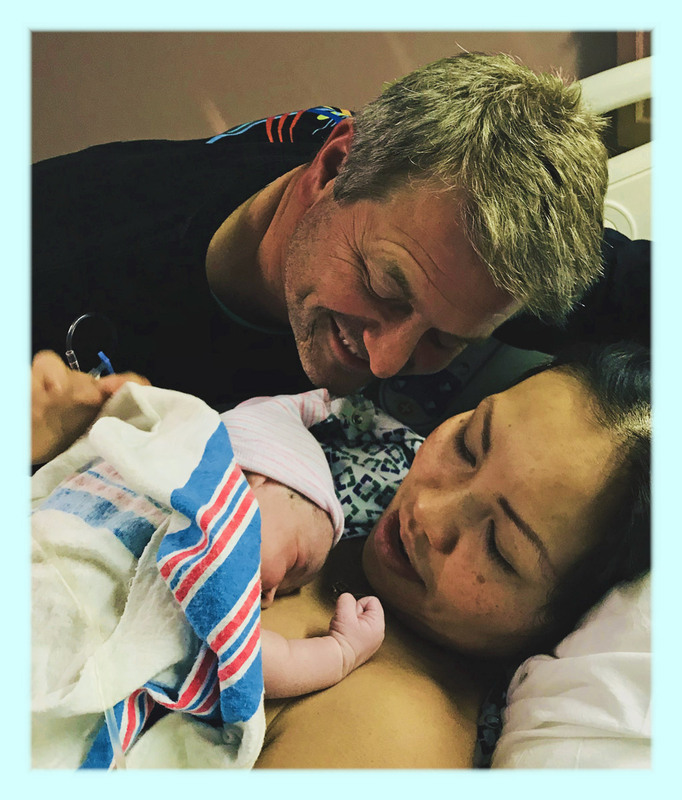 My husband didn't really get it at first...why we would have a doula, but after the very first meeting with Connie, it clicked. Now he says, "Everyone should get a doula if they are having a baby!" Connie was able to provide the perfect balance of medical knowledge and nurturing, giving her the ability to be assertive with the doctors and nurses and attentive to my needs. I trusted her to guide me through what I needed to do, and labor went great. My daughter was diagnosed IUGR so I had to be induced 2 weeks early. 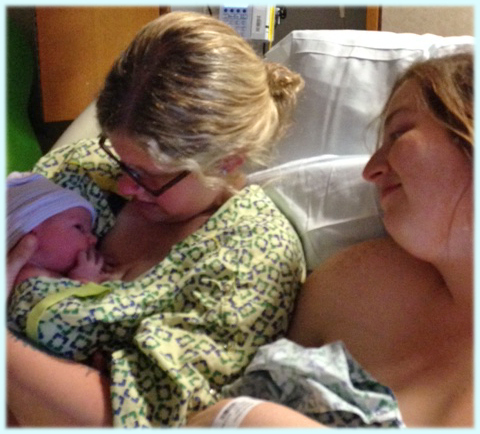 I was worried my plan for a natural, drug-free birth would be ruined, but Connie helped keep me calm, and I think we made a good team. 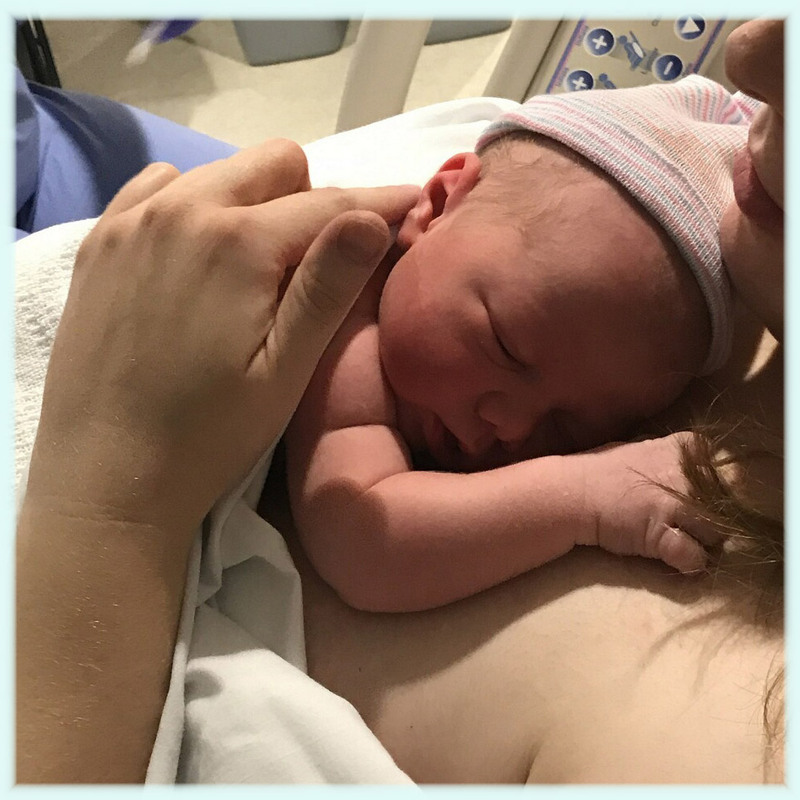 I took all of her recommendations beforehand and throughout labor and, even with the induction, I was able to give birth relatively quickly, vaginally and without pain medication. I am so thankful that I was led to her and I would recommend her to everyone who is expecting! Postpartum Visit ... I love these moments! Photos courtesy of Ashleigh Webb Photography - Click here! Supporting Mom and the Birth Team! Connie was amazing! 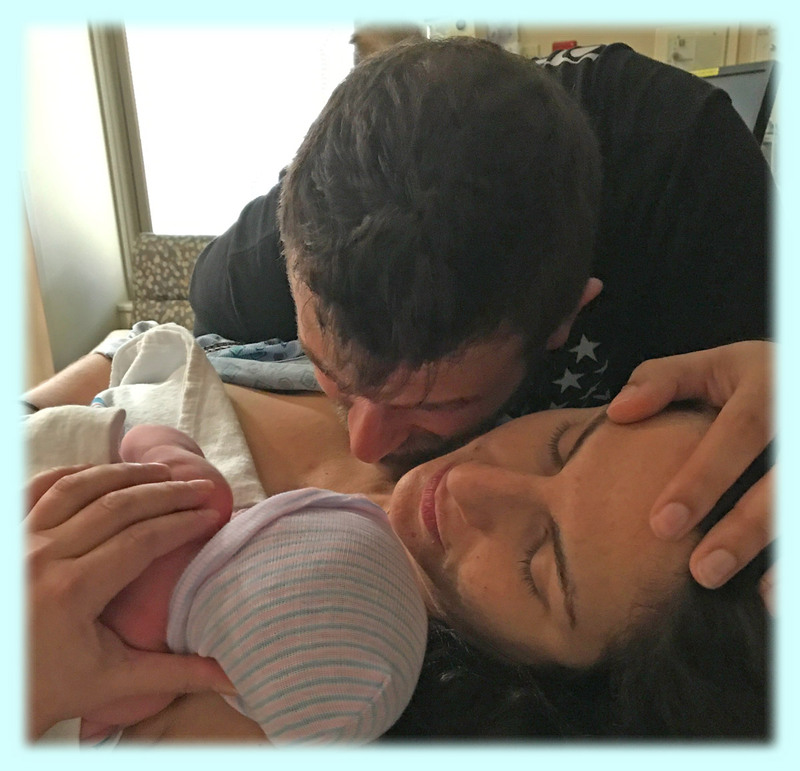 Her calming presence, extensive knowledge and nursing experience, and warm personality made my birth experience peaceful and empowering. My husband and I were so thankful we hired Connie. 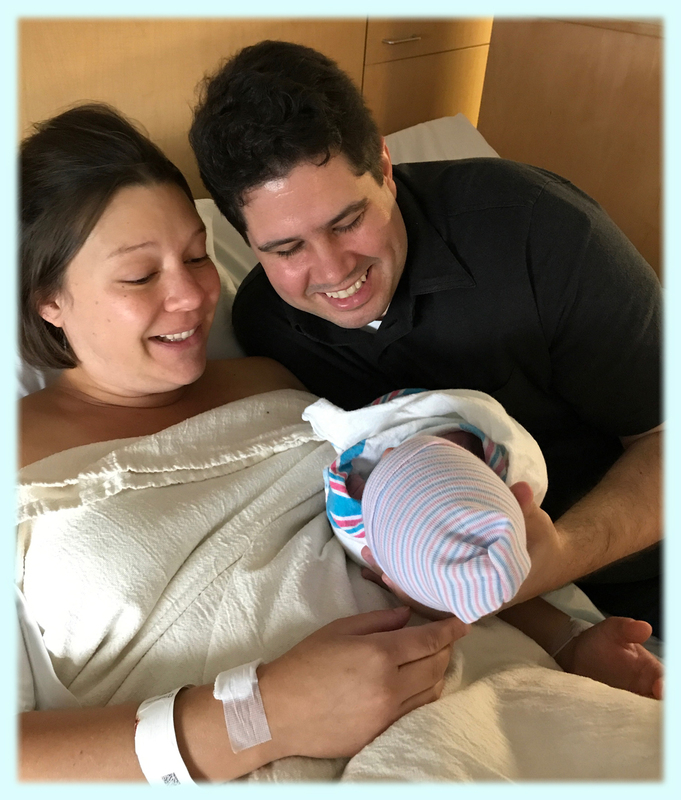 Not only did we feel completely prepared; we also felt like she helped prevent my having a c-section due to my long labor (28 hours). She stayed throughout my entire labor (I was at the hospital for 19 hours before finally giving birth.) 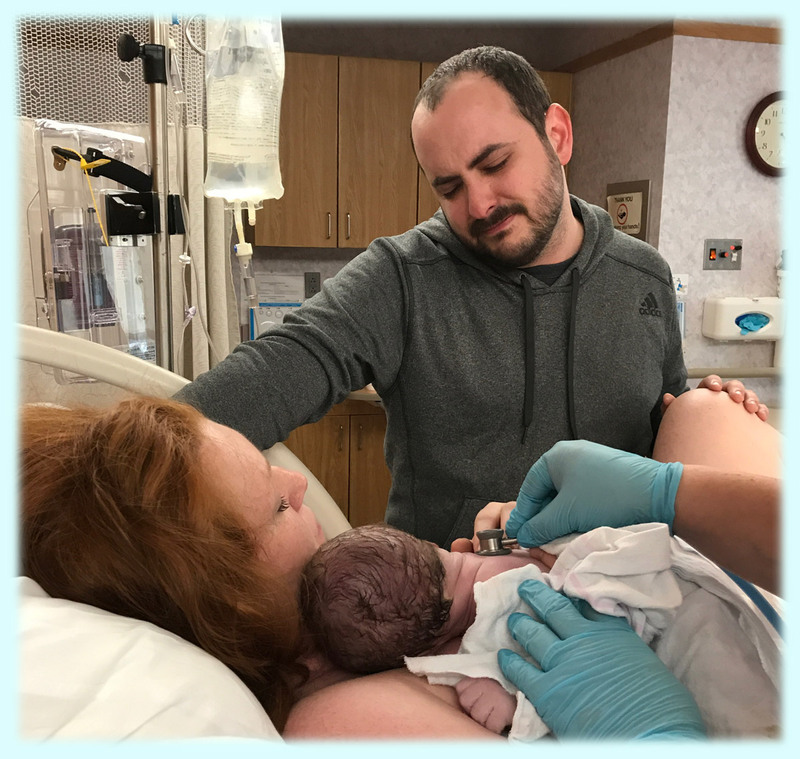 and worked with the nursing staff, my husband, and me to find the perfect balance between my birth plan and what was medically necessary to help me dilate, stay energized, and have a healthy baby. I felt confident and supported in every decision I made throughout my labor because of her guidance. 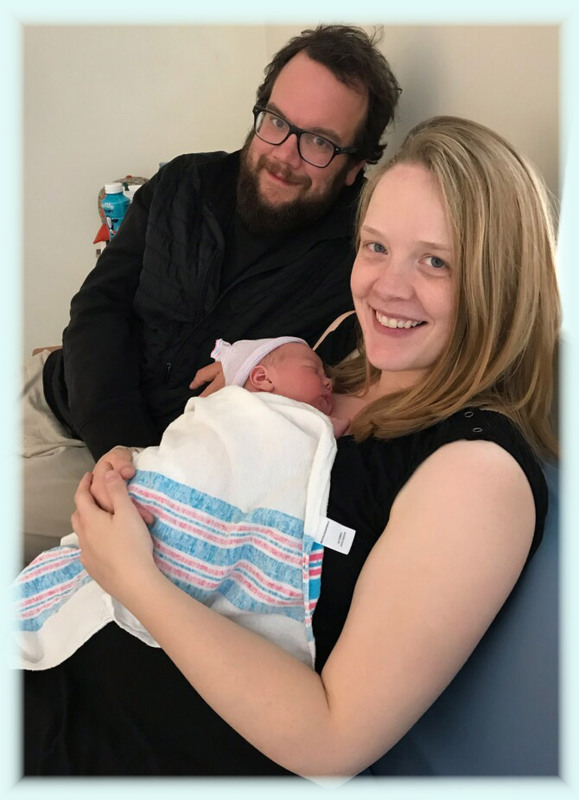 My husband (who initially thought it was strange that I wanted to hire a doula) was SO thankful for Connie's physical and mental support throughout my contractions and the entire labor process. If she had not been there, he says, he would not have been comfortable taking a nap or leaving me to grab food. As it was, we both found incredible peace and even--at times--humor thanks to Connie. We recommend her extremely highly and cannot imagine having given birth without her there. For you we have prayed! Our adorable new family member! 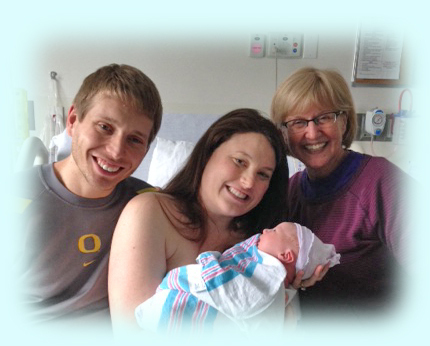 Connie is exceptional and we could not have asked for a better professional to go through our birth journey with us. Right from the beginning we had an instant connection and could tell she was a warm and genuine individual. 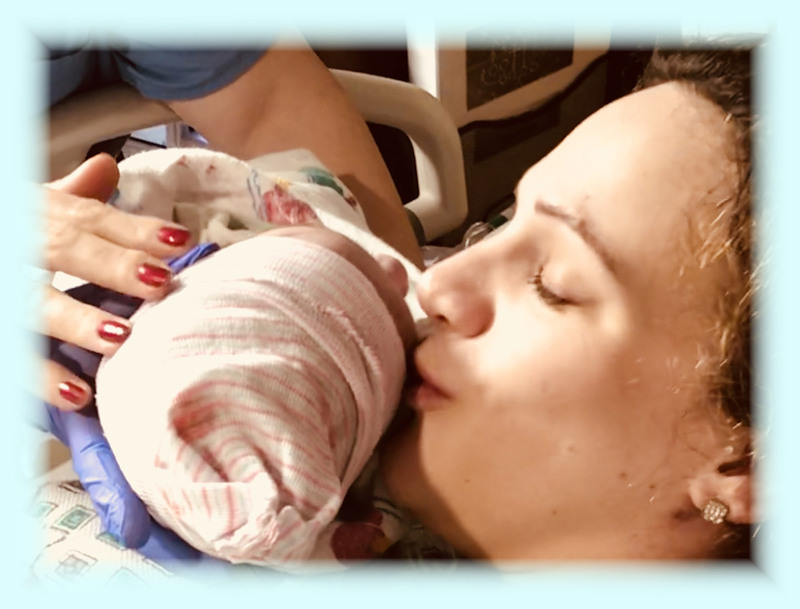 She provided us with so much education and support throughout the process and was always available to answer all my questions, being a first time pregnancy. 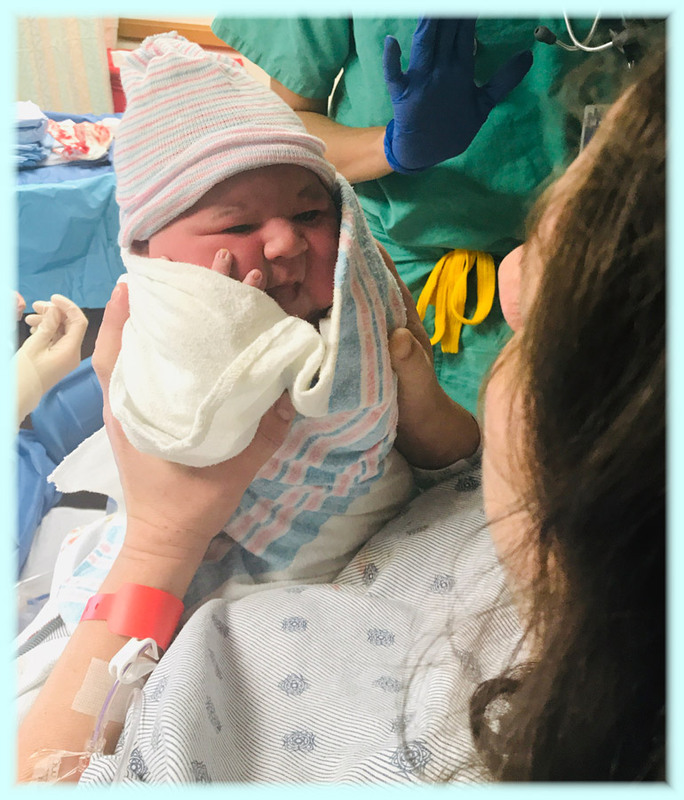 Connie stayed with us throughout the whole labor, which began in the early hours of the morning and finally ended at that same time, 24 hours later, with the birth of our beautiful daughter. She helped me to remain calm, worked on different techniques with me and provided support in a way that no one else in the room could. Working with Connie was such a great choice and I would highly recommend her to anyone else considering a doula. You will be so happy with your choice. 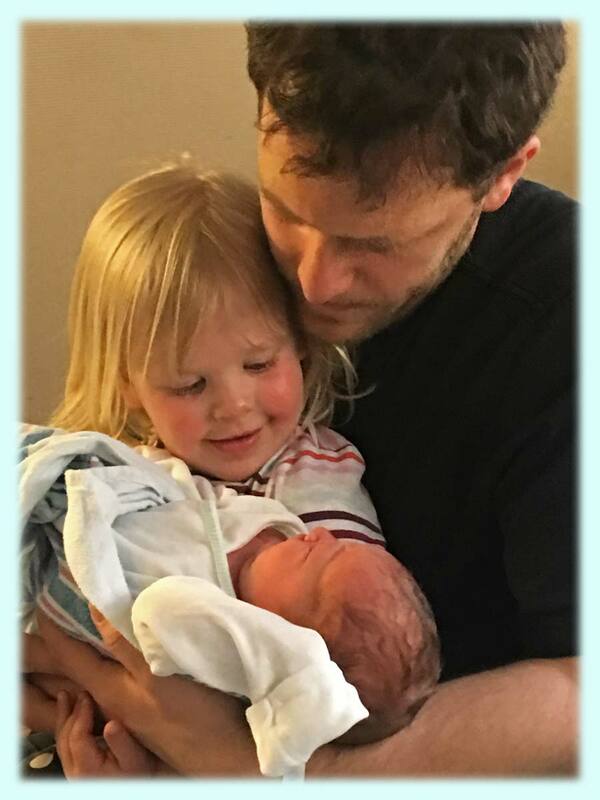 Being pregnant and giving birth is such an emotional journey and I am so thankful we had Connie to guide us through and experience it with us. I fought my way out and boy, was I hungry! 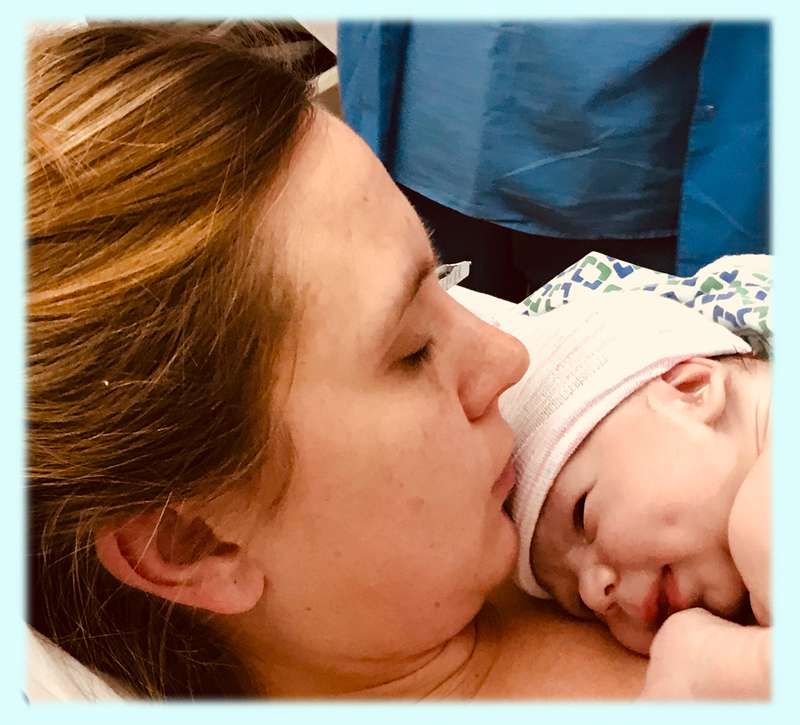 Connie is one of those people you instantly feel comfortable with...which is convenient when you go into labor early, before any of your prenatal visits, and the second time you see her face-to-face is at the hospital! 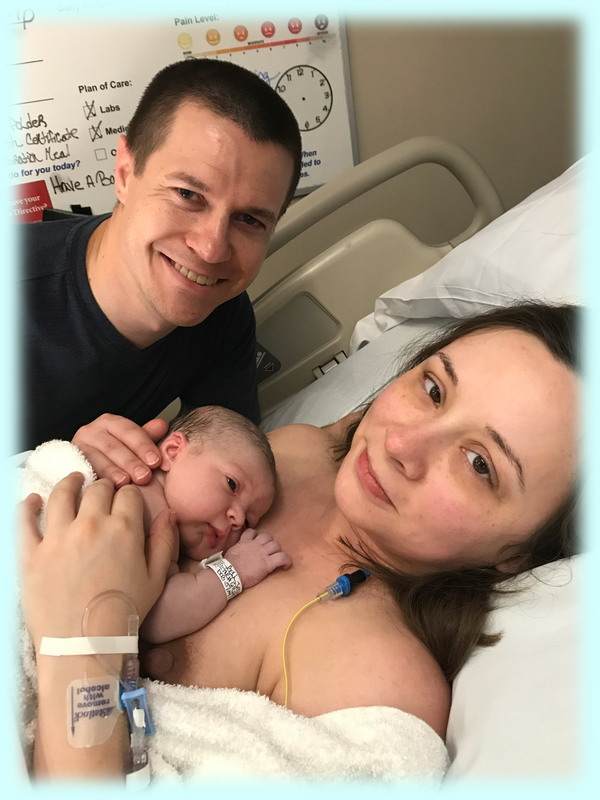 Our first child was a planned cesarean due to being breech, and I wanted to do everything possible to try to have a VBAC with our second. 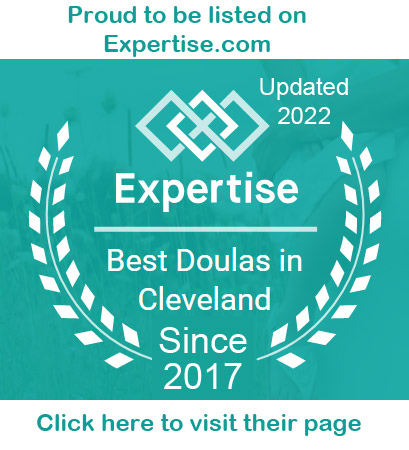 I had read that doulas provide a statistically significant reduction in C-sections, so we set out to find someone with a similar outlook to ours. Connie was perfect! She wasn't at all phased by my high-risk pregnancy, is very down-to-Earth, and fully supported our plan to have a medicated hospital birth. 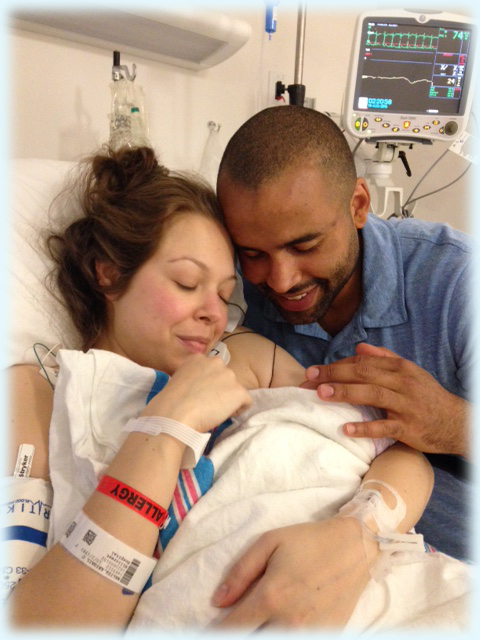 Connie was an amazingly supportive, helpful coach during labor, before and after the epidural. 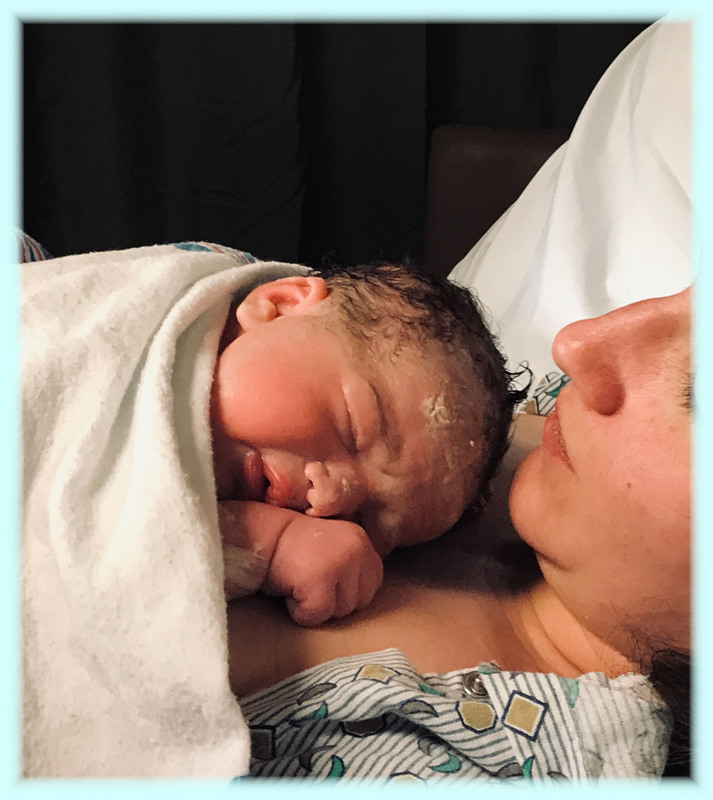 She worked seamlessly with the hospital staff (some of whom knew her from other deliveries), and even earned the approval of my high-risk OB, who had been skeptical about the idea of me bringing a doula. 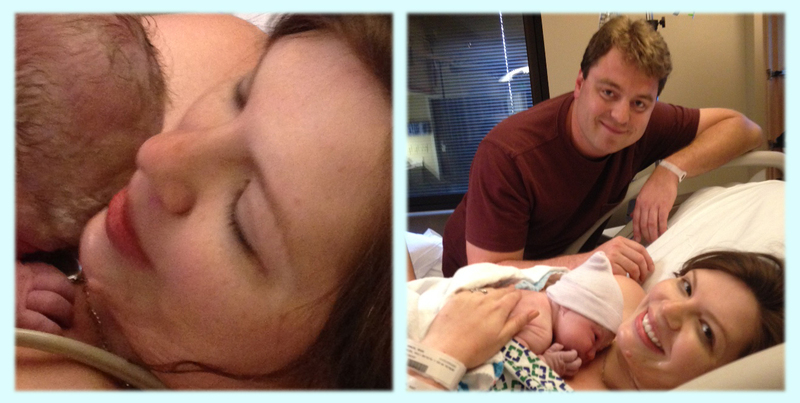 I ended up having to have another C-section due to complications at the very end (I was fully dilated and pushing! 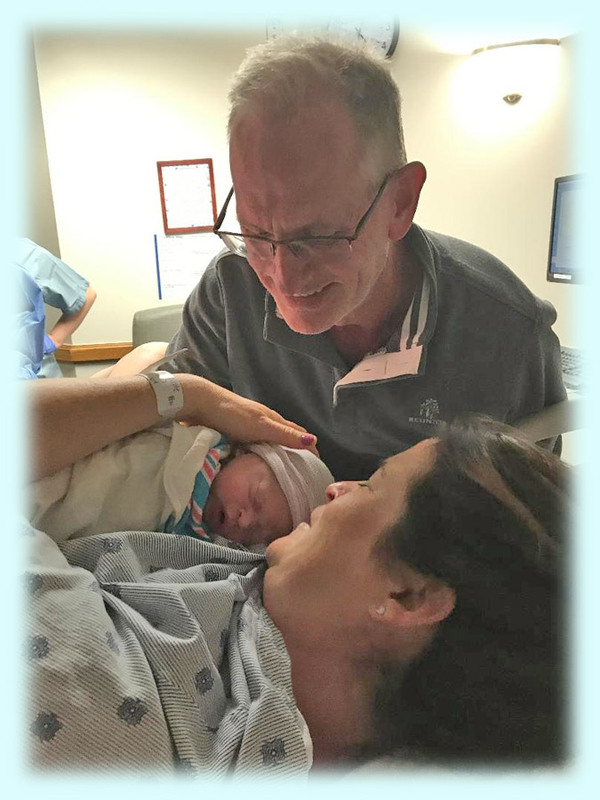 ), but my husband and I greatly appreciated all the coaching Connie gave us during the labor, and we�ve both commented that we don't know how anyone gets through labor without someone like Connie at their side. 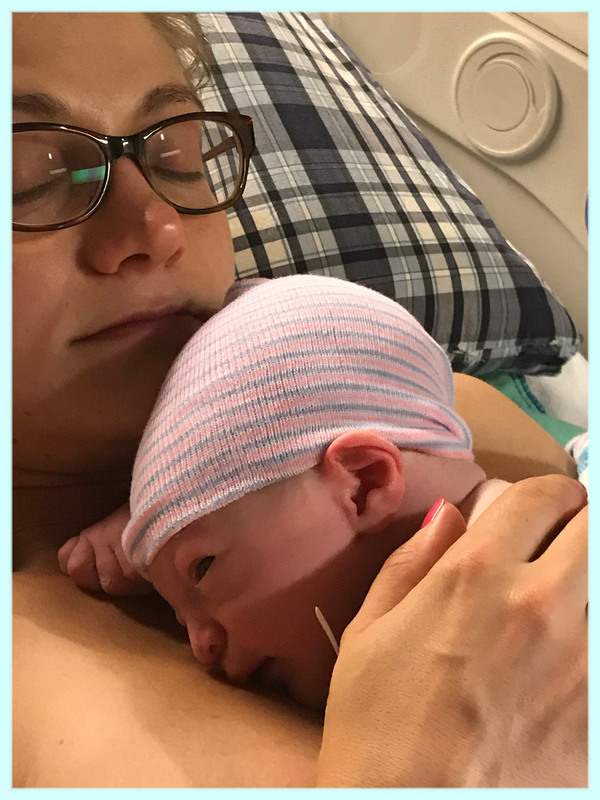 We would highly recommend Connie to anyone who's looking for a down-to-earth, knowledgeable, compassionate coach during their labor and delivery. Connie is a wonderful doula! She is a very calming presence and her nursing background makes her a great sounding board throughout pregnancy and delivery. I don't know what we would have done without her! You surprised Mommy and Daddy! The prenatal visits are very helpful--make sure to allow plenty of time. Even though this was my third child, it was so useful to talk things through with Connie. 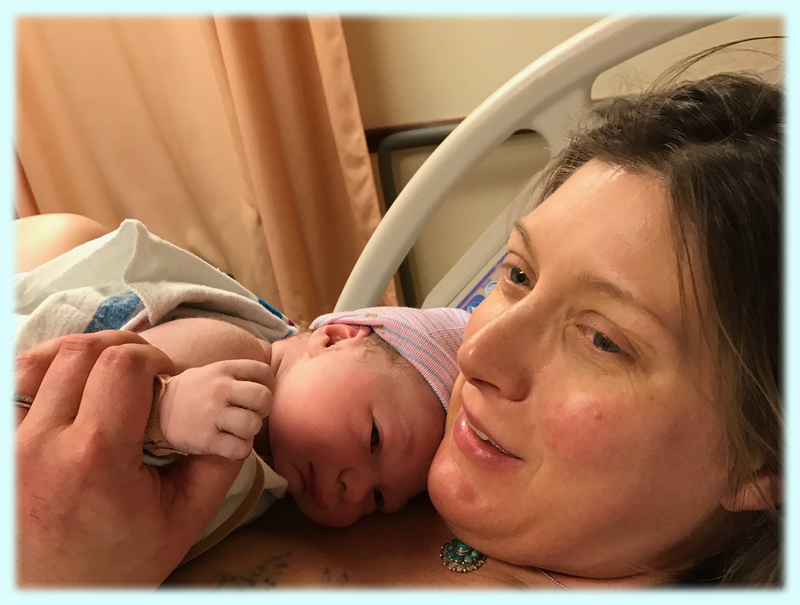 She brought up things I had forgotten or hadn't thought of, and it made me feel more confident about labor. I was able to talk through what I was worried about or concerned about, and she was supportive and helpful. 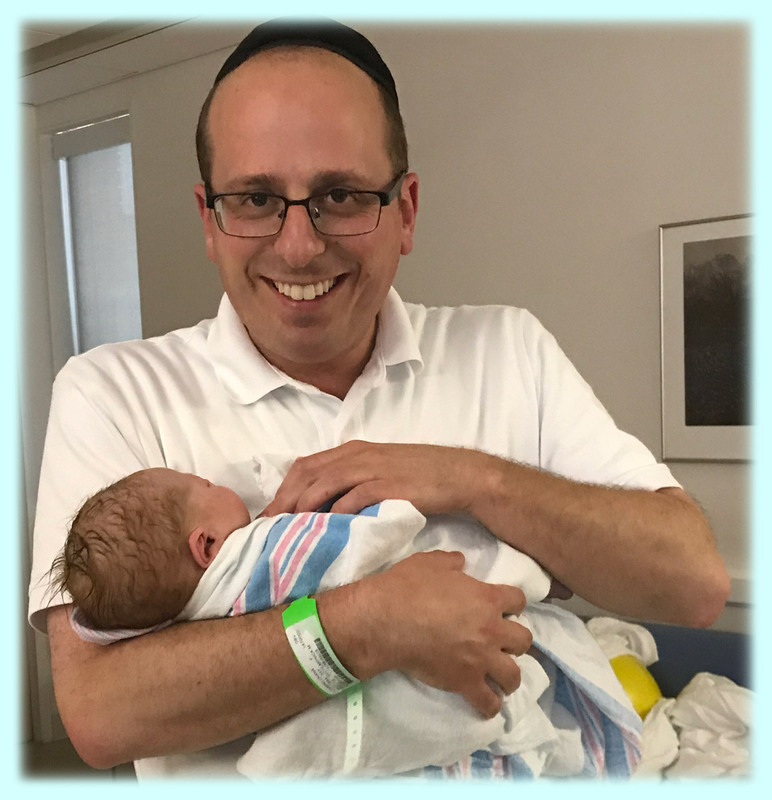 When labor started, I felt calm and ready. Thank you, Connie! Whew, that's why they call it labor! 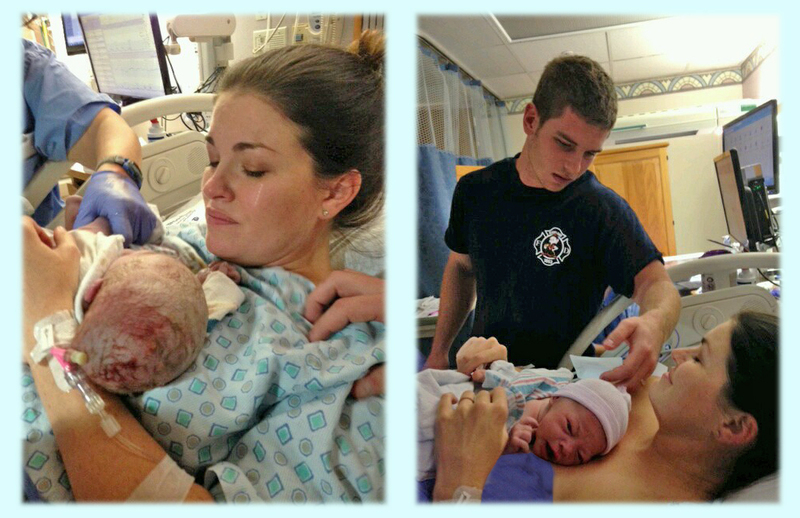 What an awesome natural birth of a special en caul* baby! What a beautiful, joyful natural birth! We are so grateful for Connie! She was a perfect fit for our family. 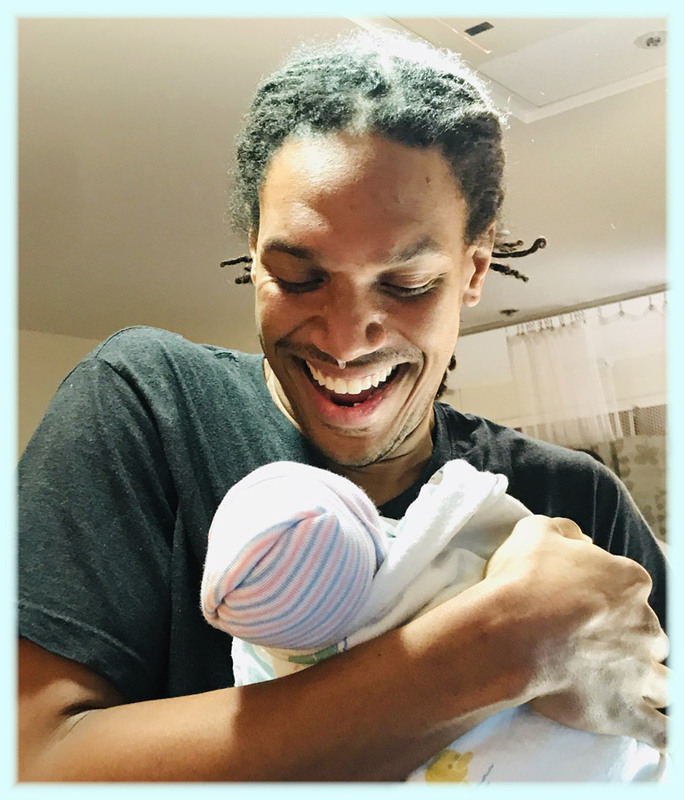 My husband and I are both physicians, so while I wanted a medication-free delivery, we also have seen how some deliveries can go, and we wanted a doula who wasn't sooo "crunchy" that she didn't recognize birth can at times be risky. Connie was the perfect blend of earth mama and prior nurse. 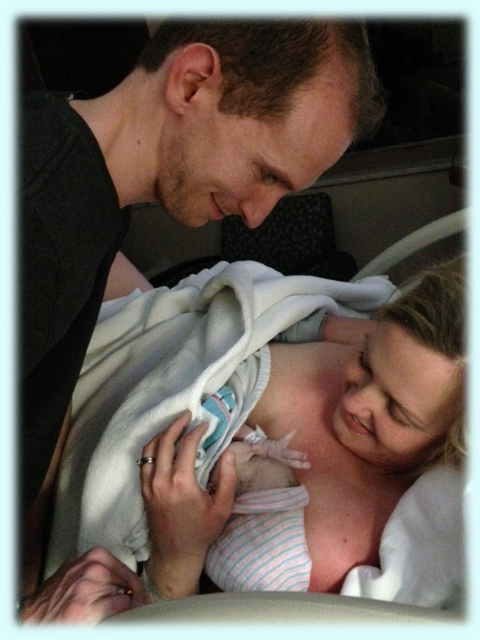 �We appreciated her support at our prenatal visits, and *especially* at my delivery. 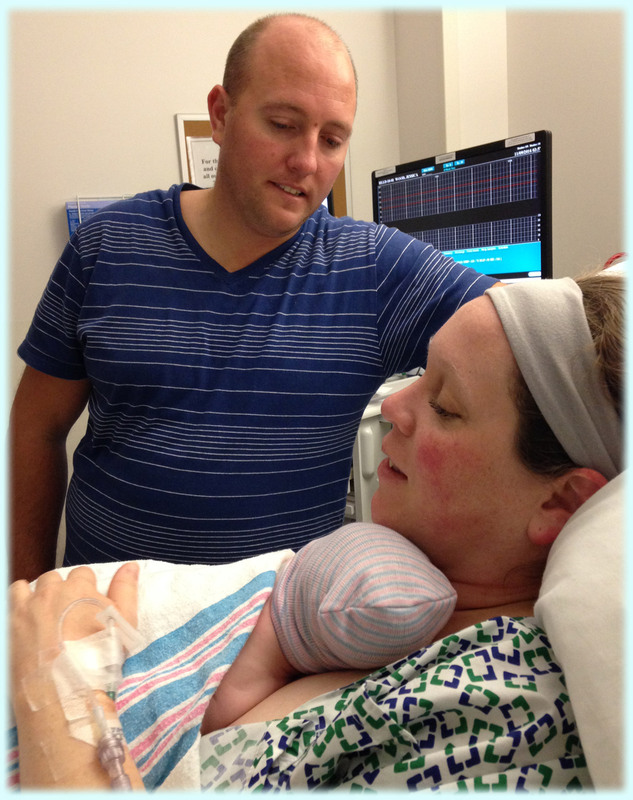 Connie's experience as a doula was evident during the delivery of our daughter; she provided such a strong support for myself and my husband. Connie's support and guidance is definitely part of what allowed me to have the powerful, unmedicated delivery I was hoping for! A baby brother! How perfect! Having Connie as a part of our birth team was priceless. 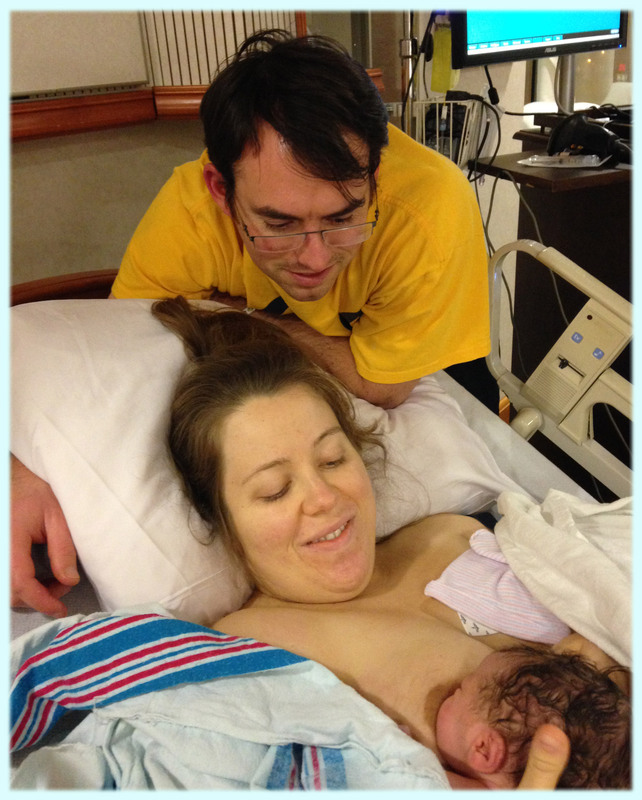 She helped us to achieve the best birth experience. She is knowledgable, caring, and so very personable. 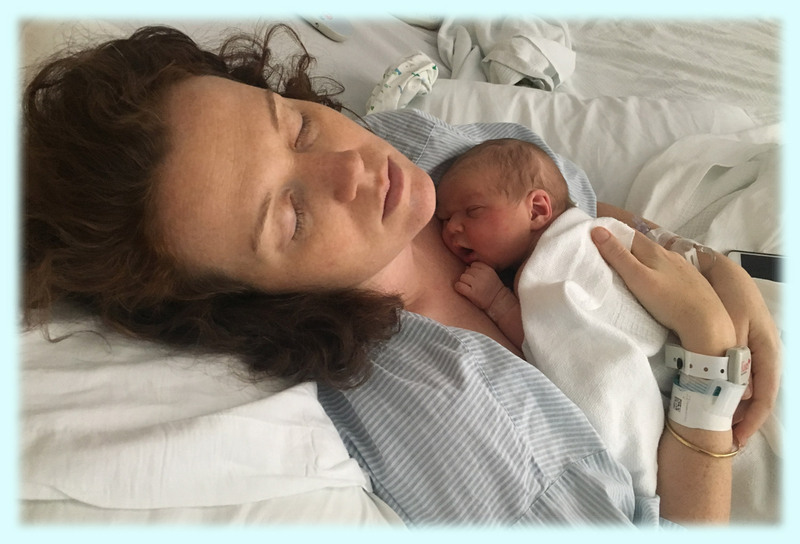 I could rely on Connie throughout the pregnancy and undoubtedly during labor, delivery, and post-delivery. I love the fact that she is an experienced Registered Nurse. 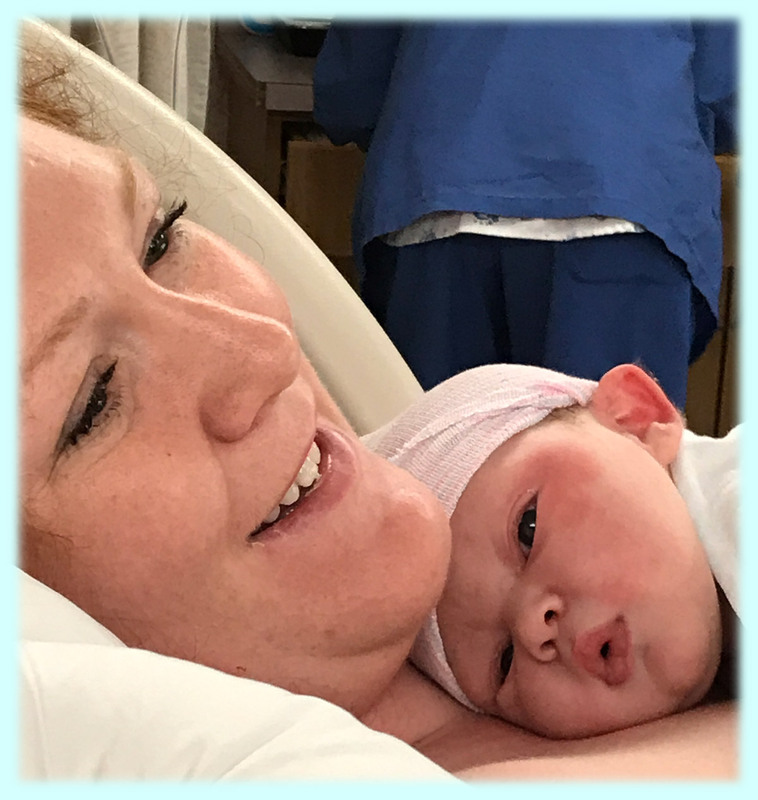 Connie's experience as an RN gave me the confidence to know that she was knowledgeable about the process, the hospitals, and communicating with the other members of the birth team. Connie was caring from the moment we first talked on the phone to even now, weeks after my baby was born. 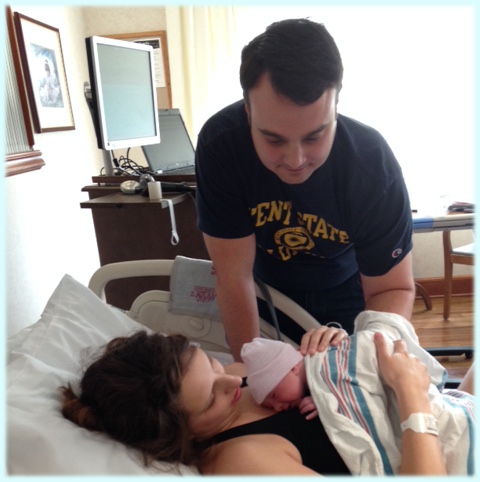 Her caring and personable personality was reassuring, especially during the difficult trials of labor and delivery. 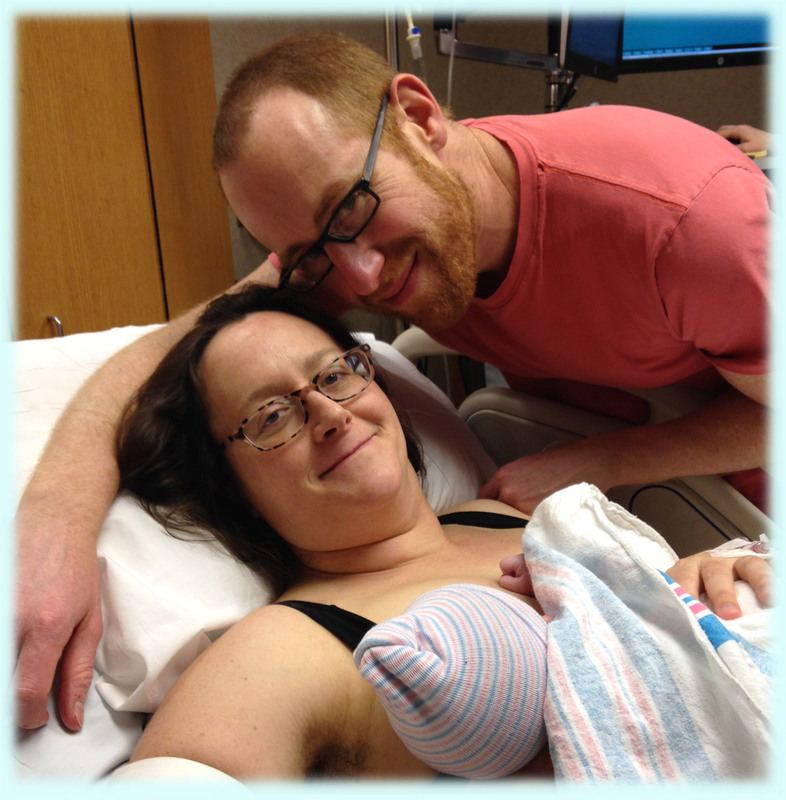 I'm happy we chose to have a doula, and I'm especially happy that is was Connie. Again, she is extremely knowledgable, very caring, and warmly personable. Connie, Doula Nana, was an integral part of our birth experience. I'm so happy I picked you two for parents! 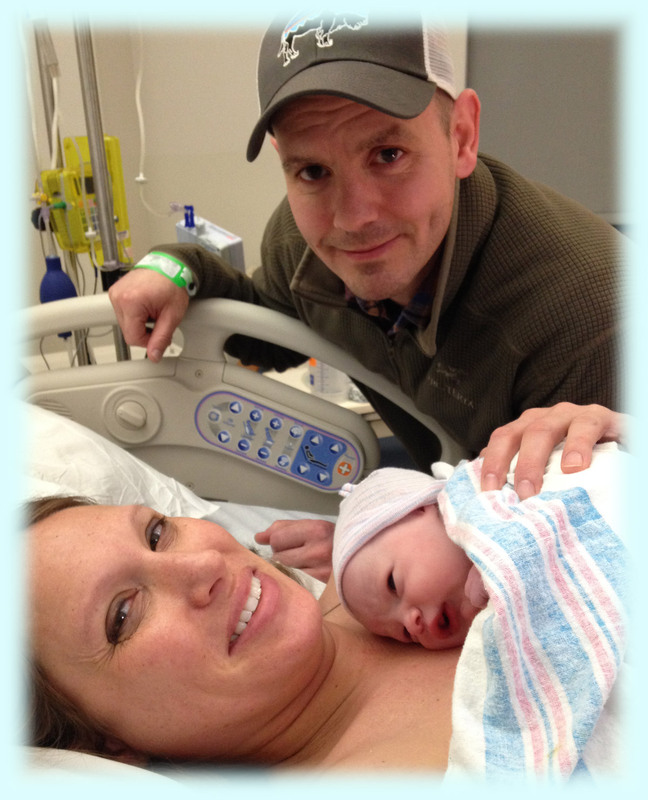 Successful VBAC after two C-Sections... Great work Mom & OB! 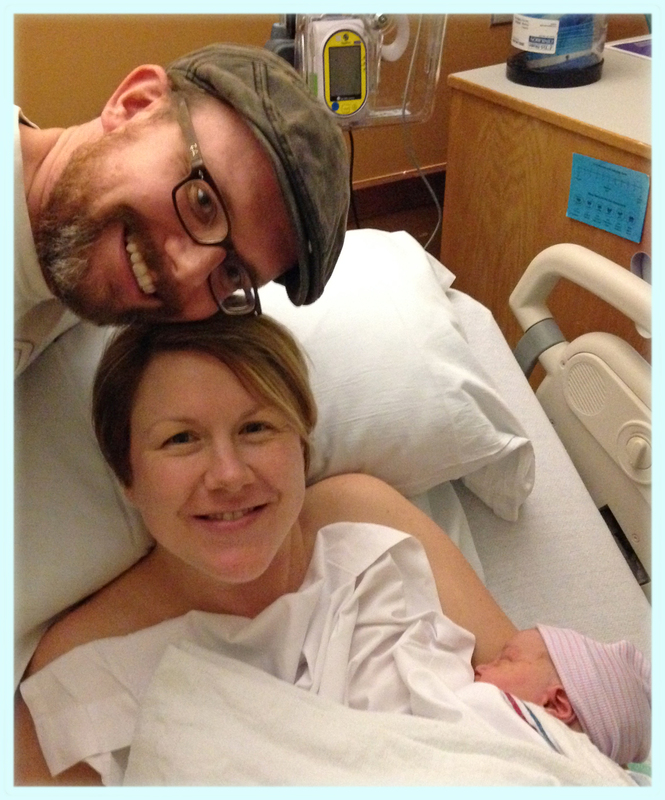 Upon our initial meeting with Connie, we knew we had met a great doula. She puts you at ease with her warm, relatable personality. She is knowledgeable, caring and loves to laugh! She was very reliable in terms of answering questions via text/email. She spent a lot of time with us in our pre-birth meetings getting to know us and allowing us to get to know her. When the big day came, we were so grateful to have Connie on our team. My labour was incredibly fast and we were glad to have Connie�s experience. On my own I would not have realized the urgency to go to the hospital. 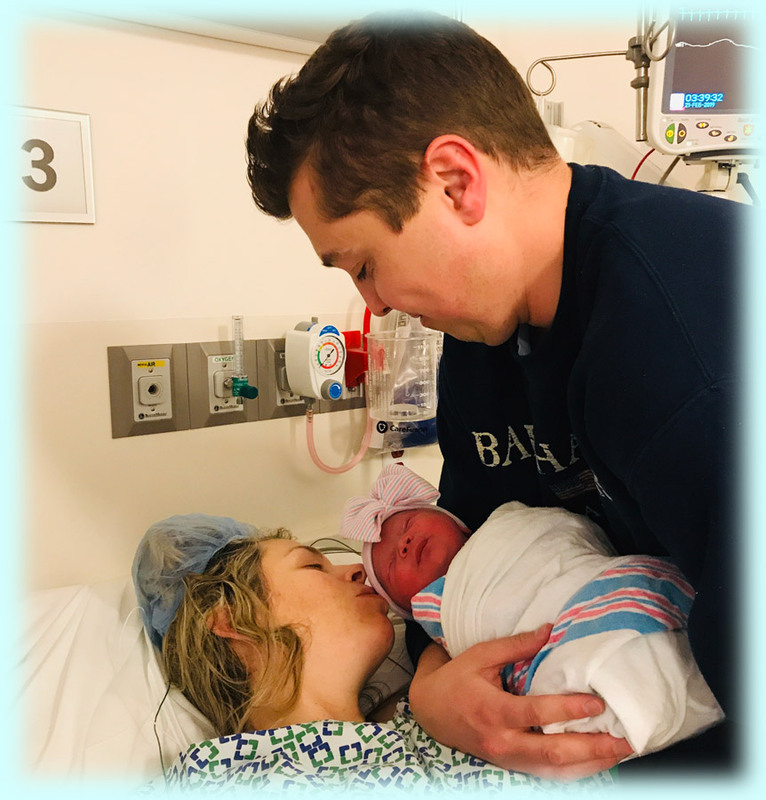 Although the car ride was short, she was indispensable keeping me calm in the car, and coaching me so that I made it into the delivery room for the birth. It was a crazy experience and I�m so thankful to have had Connie there to rub my back, hold my hand, pant like a dog (you�ll have to ask her about it ??) and generally be an awesome, calm, upbeat team member. We would highly recommend Connie as a doula. She�s professional but personal. You know you are in good hands with her! We had a great experience with Connie. She is very positive and has a great attitude and sense of humor. She is very experienced and has much knowledge to share. She did a great job keeping my wife calm and centered during the labor. 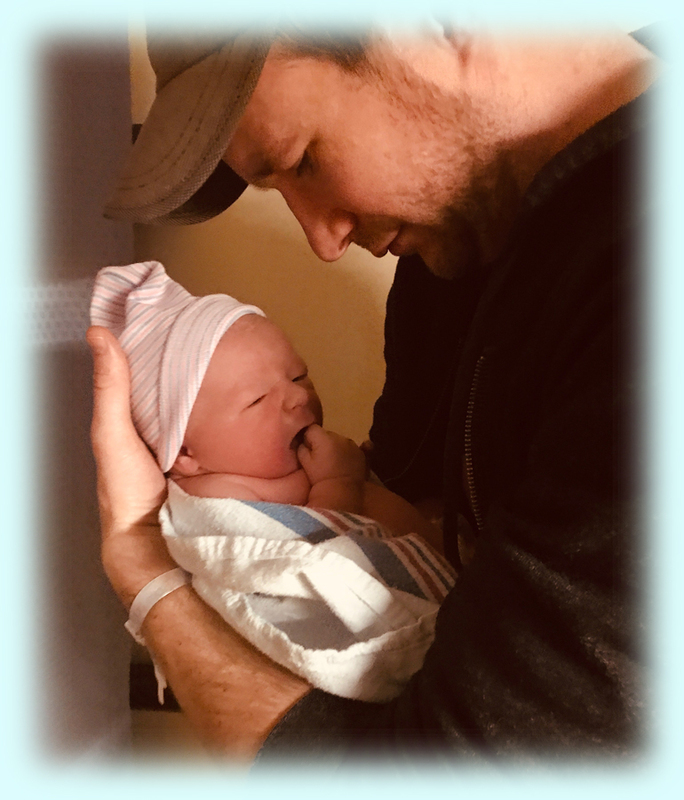 Our tiny lionhearted girl is here! 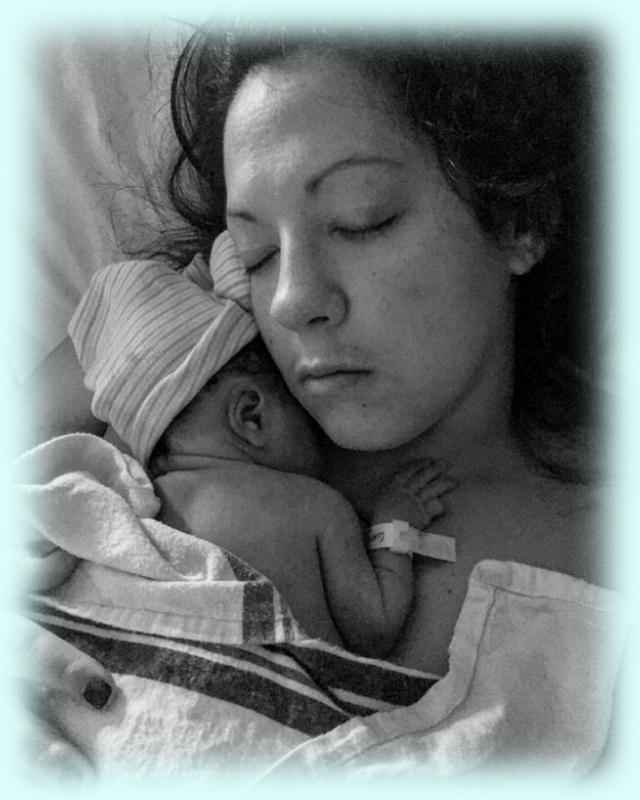 Connie supported me through a long induction and the premature birth of my daughter following a preeclampsia diagnosis. She kept me calm, provided therapeutic accupressure and assisted me in making informed/empowered decisions about my care. Connie has a wealth of knowledge, approached all my choices with nonjudgement and provided excellent support and coaching. 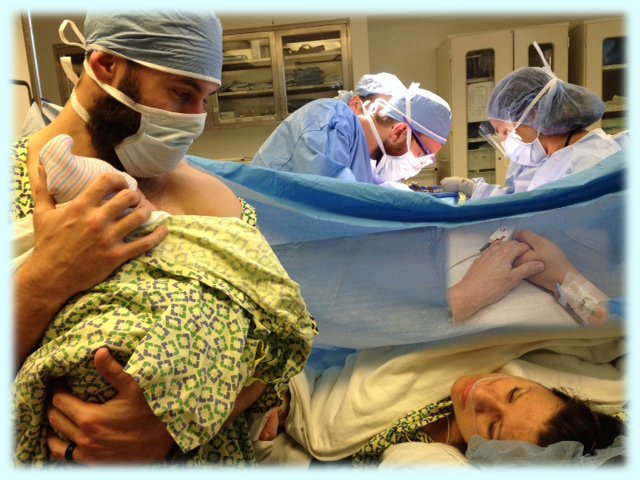 Loving labor & a tender birth!